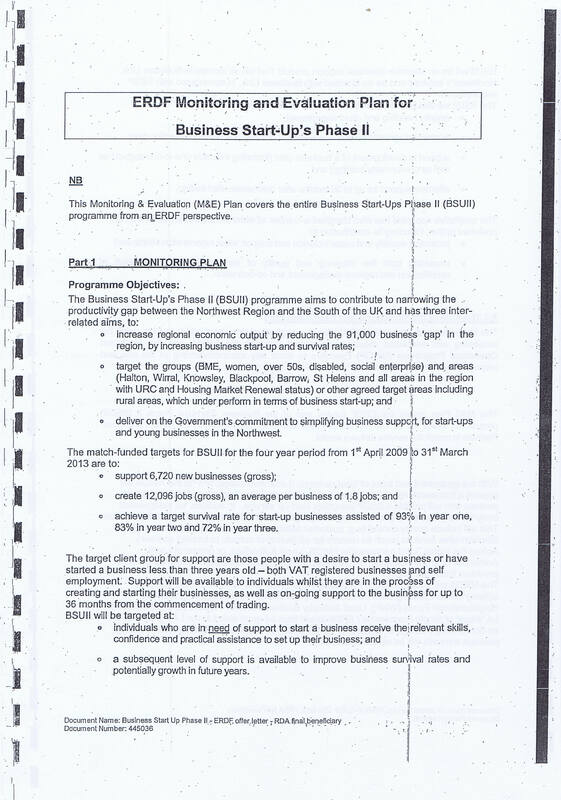 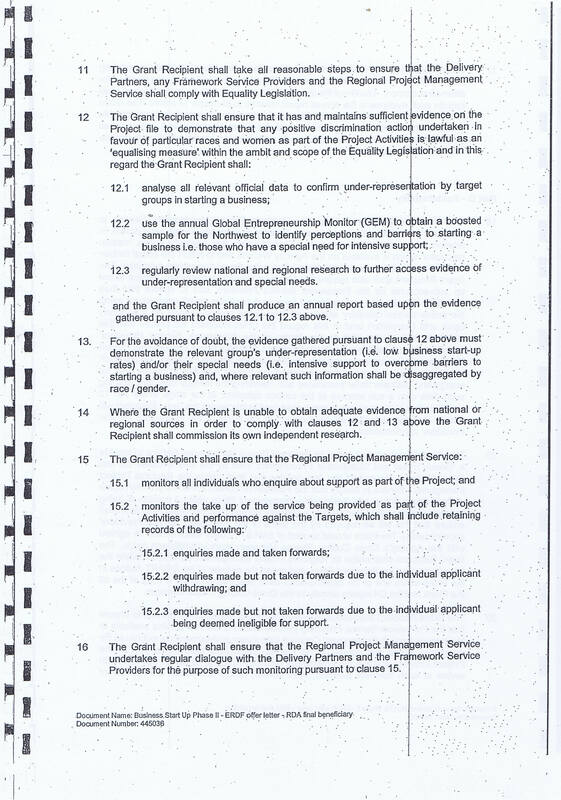 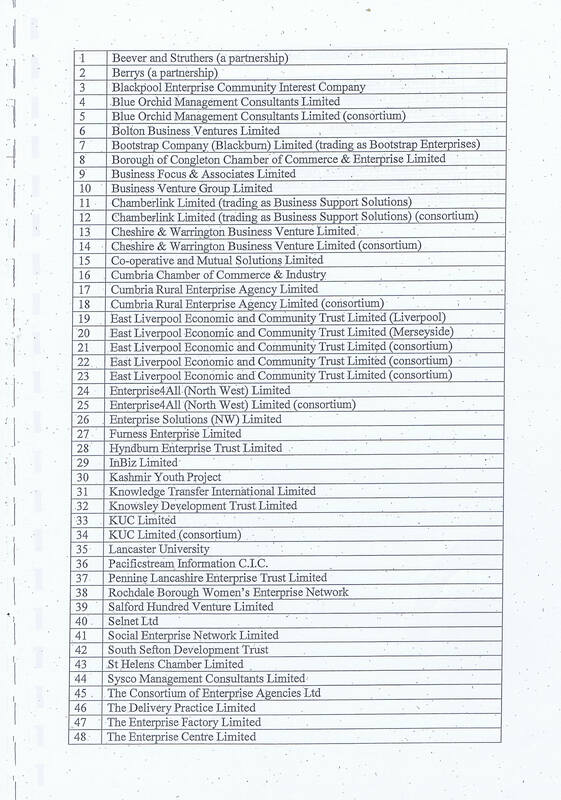 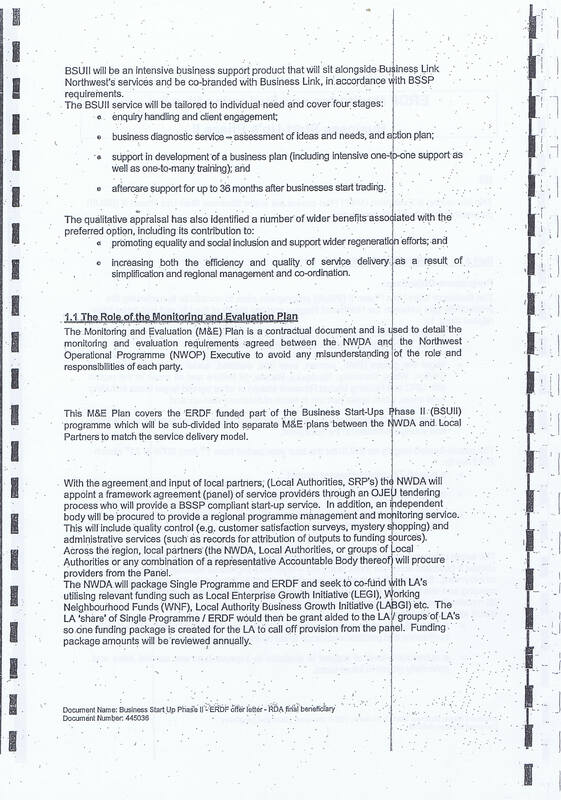 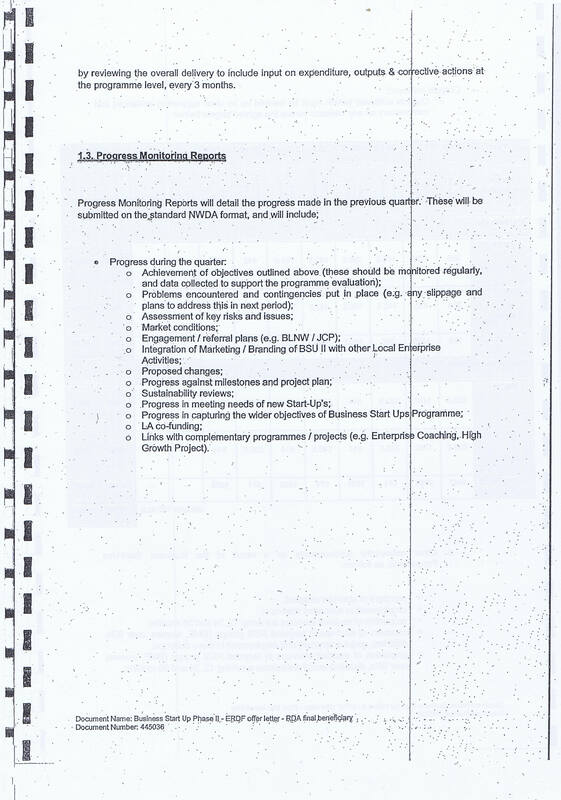 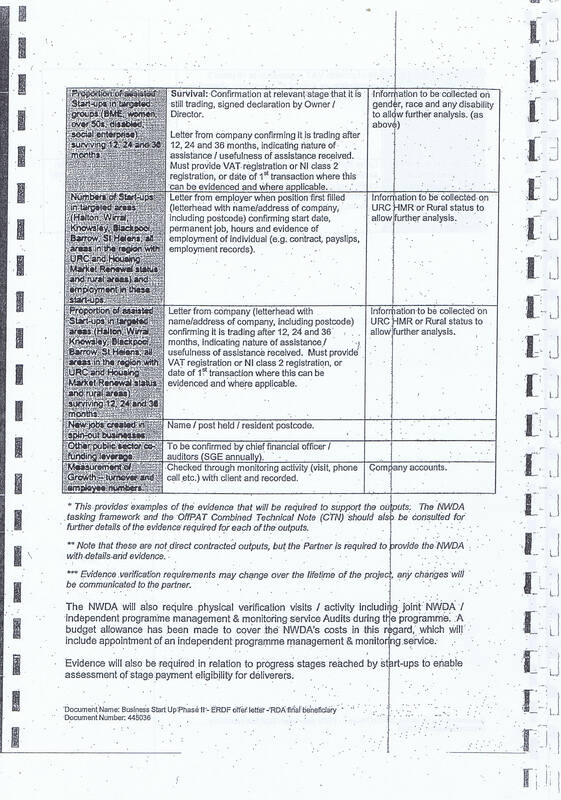 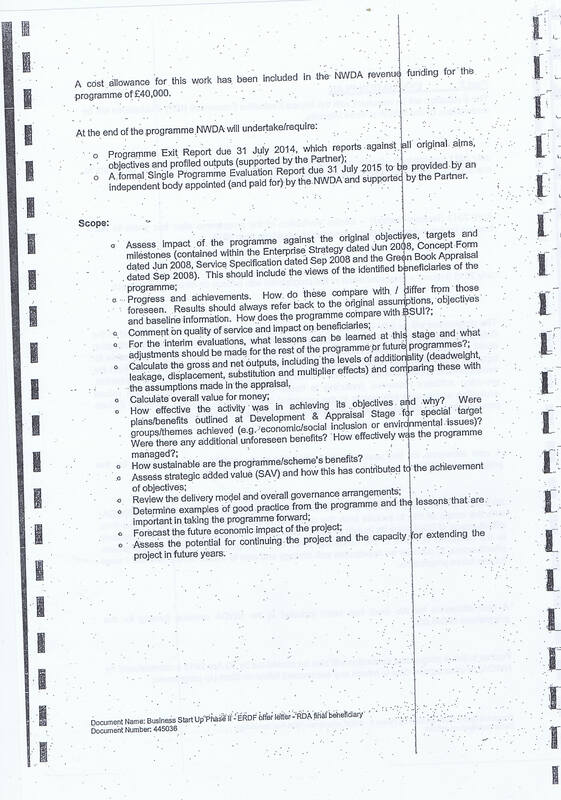 The astute among you will no doubt be aware that the North West Regional Development Agency was abolished last year, however I would guess that in its absence that its functions under the contract are now done by the Department of Business, Innovation and Skills. 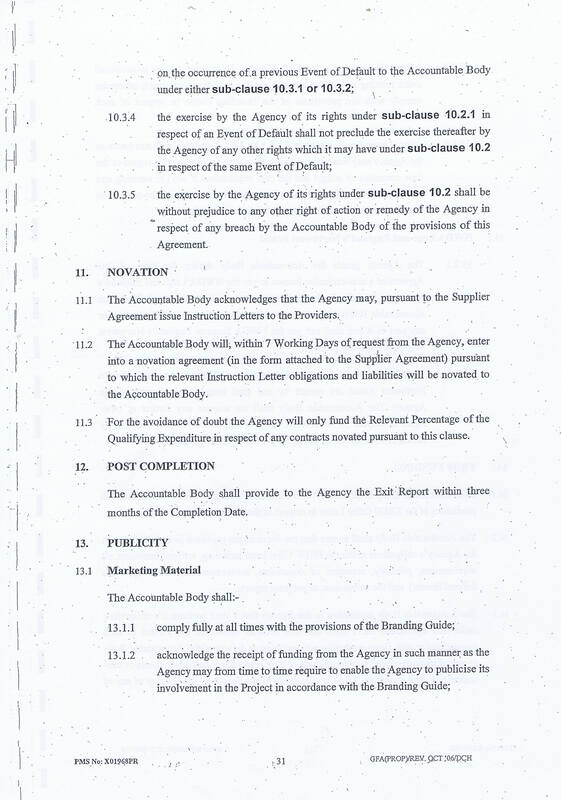 There is more to the contract than the first ninety pages, although the other pages can wait for another day. 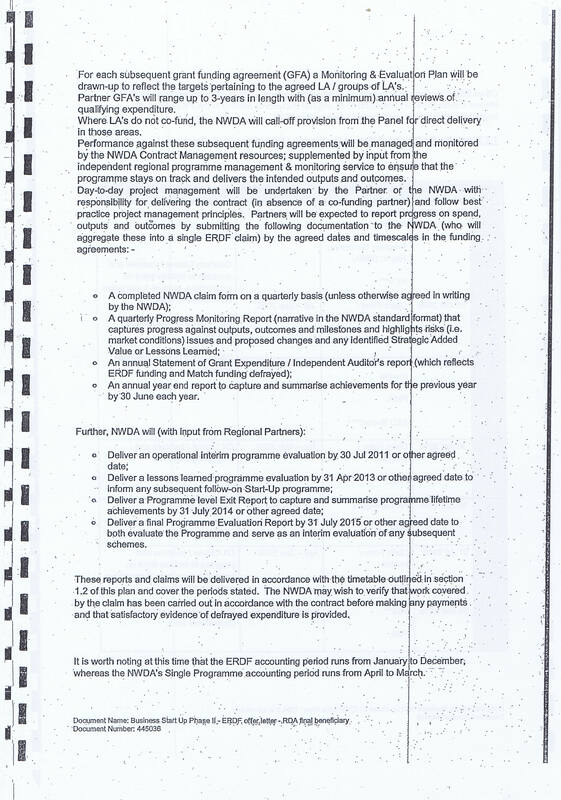 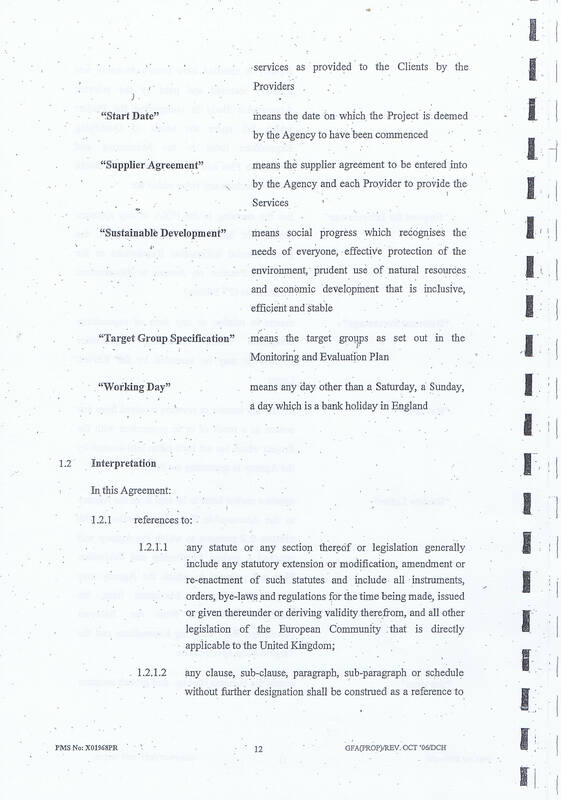 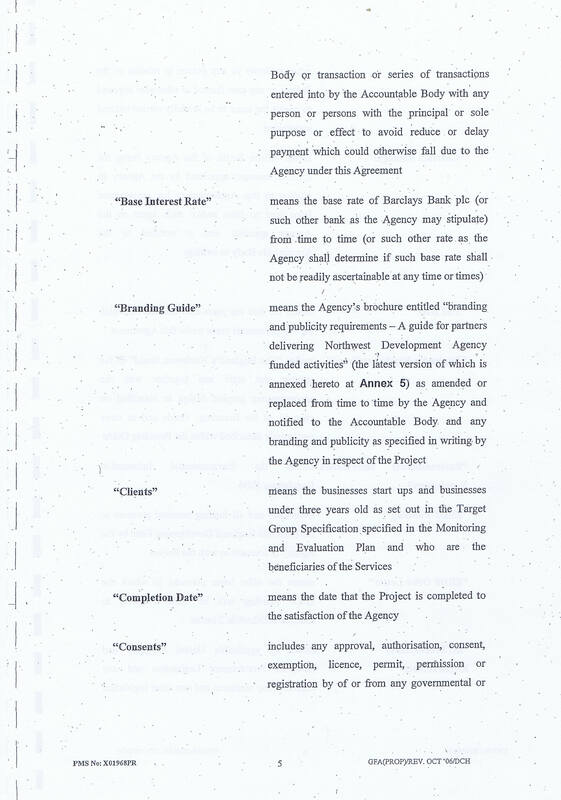 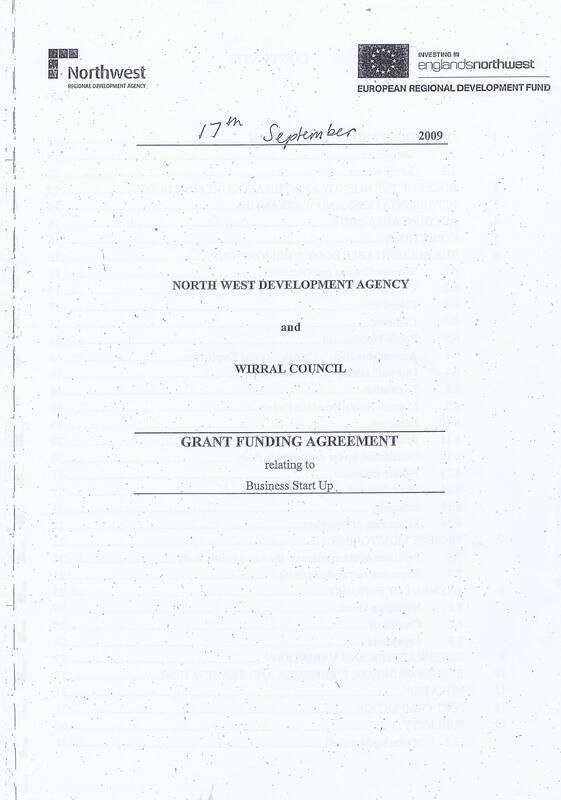 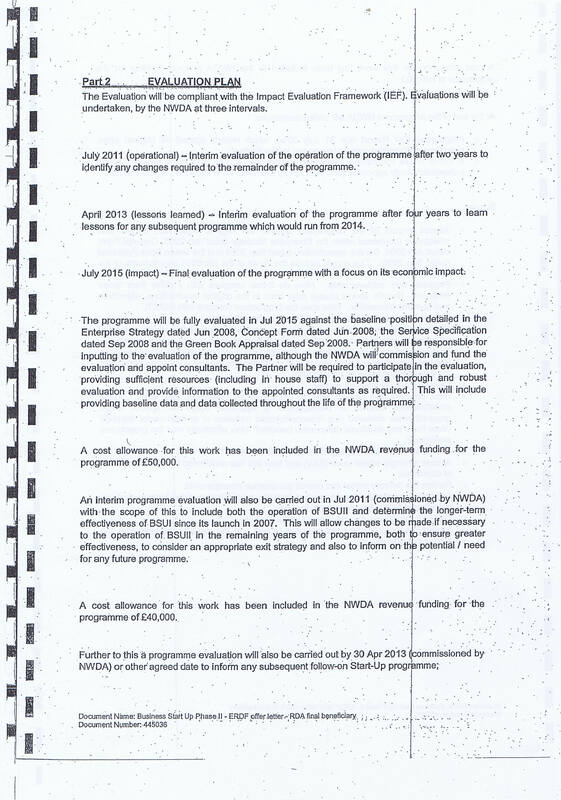 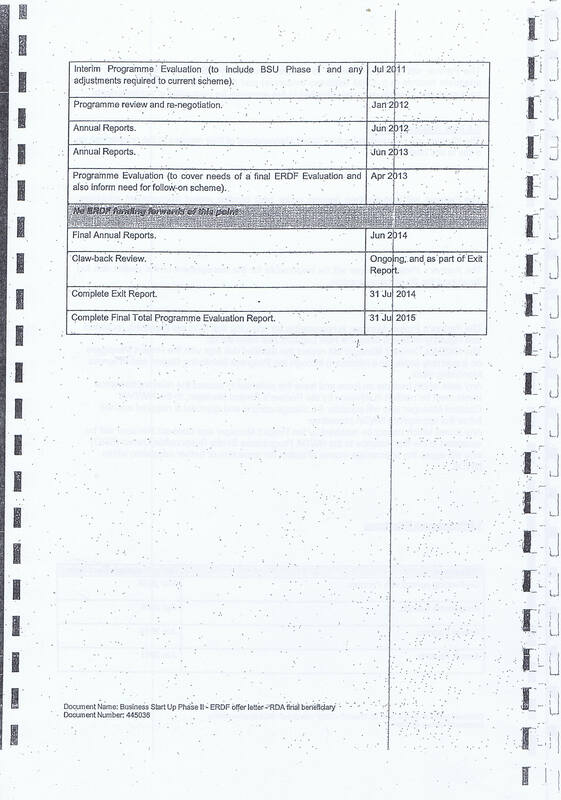 The contract between the North West Regional Development Agency and Wirral Council was for business grants and has been the subject of recent whistle blowing concerns. 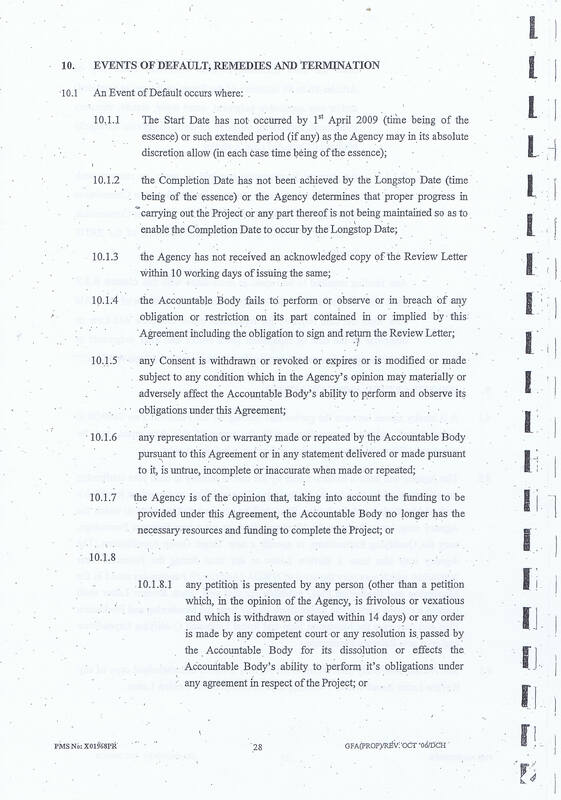 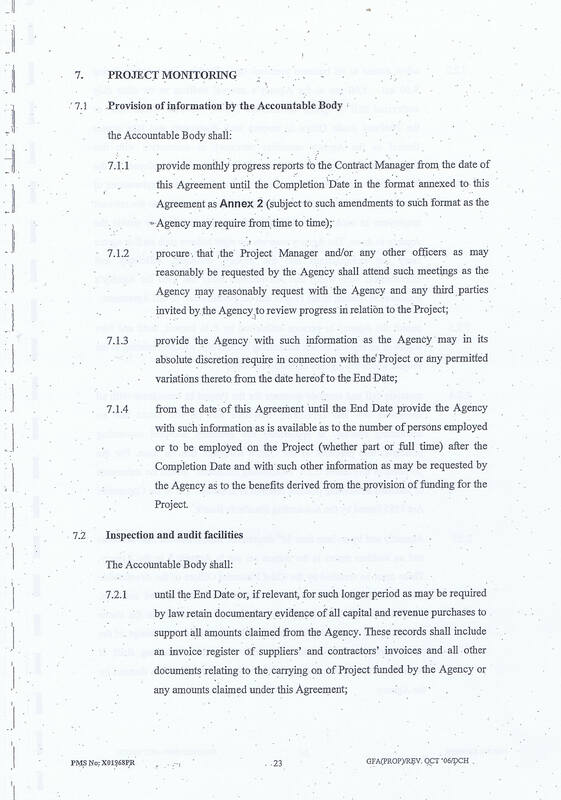 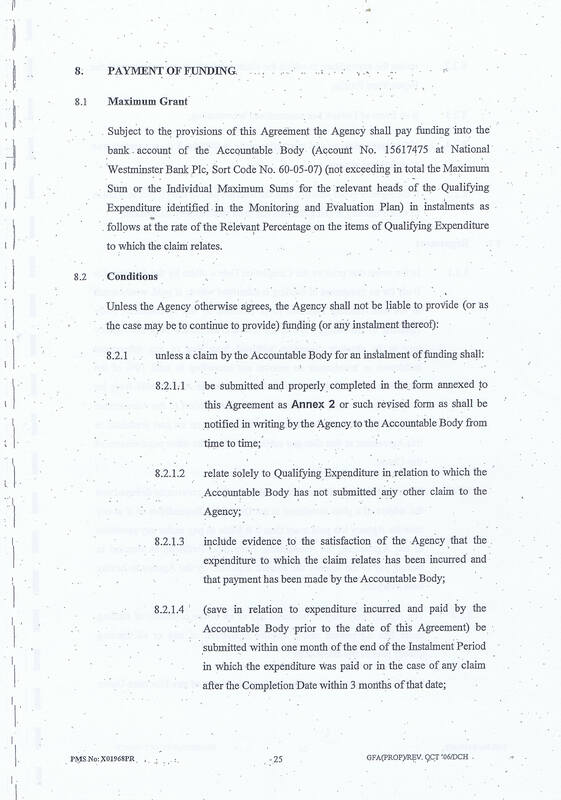 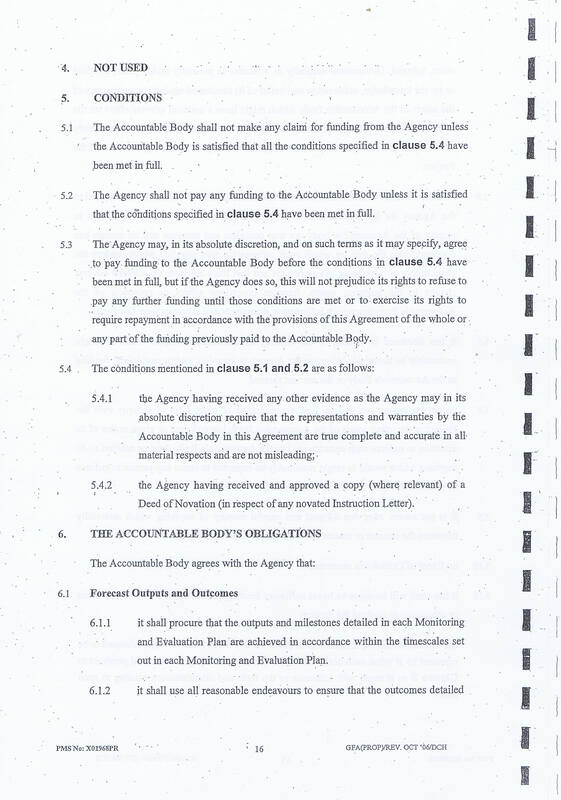 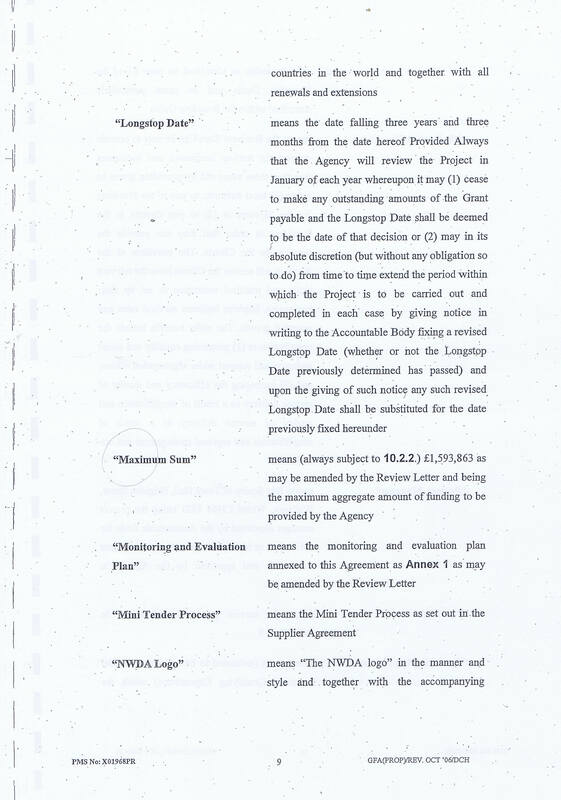 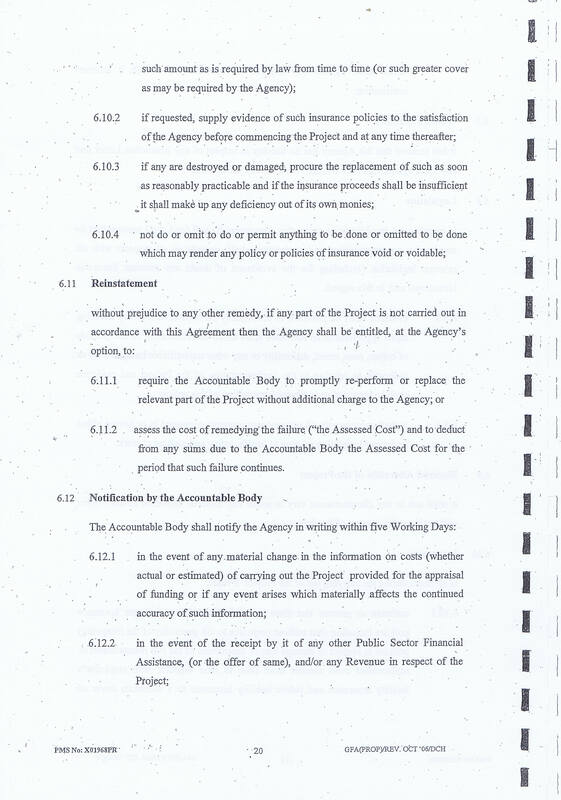 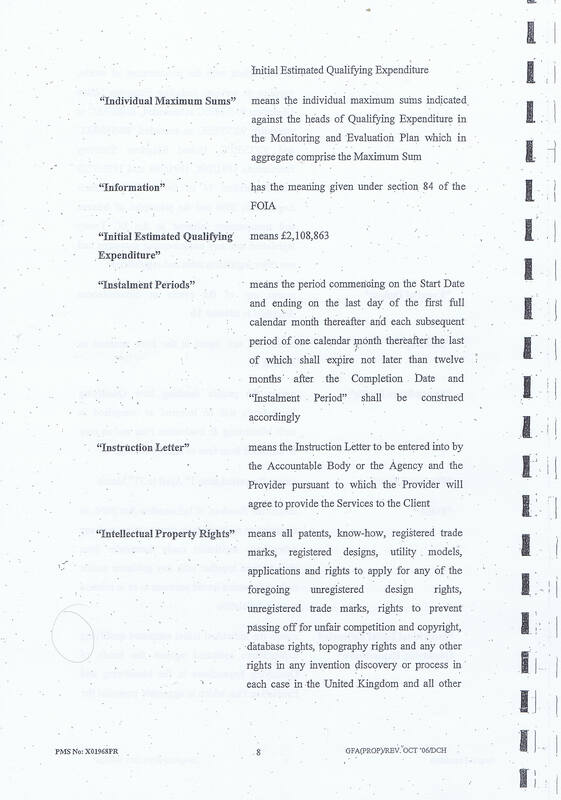 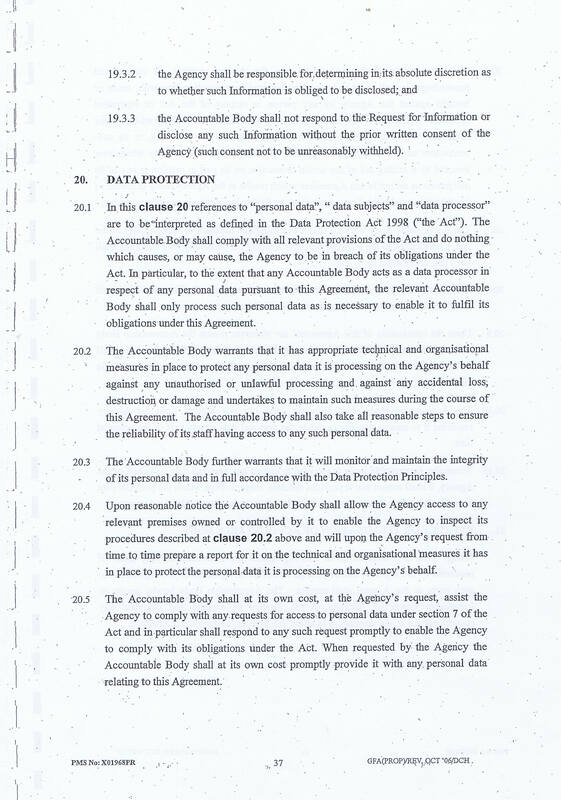 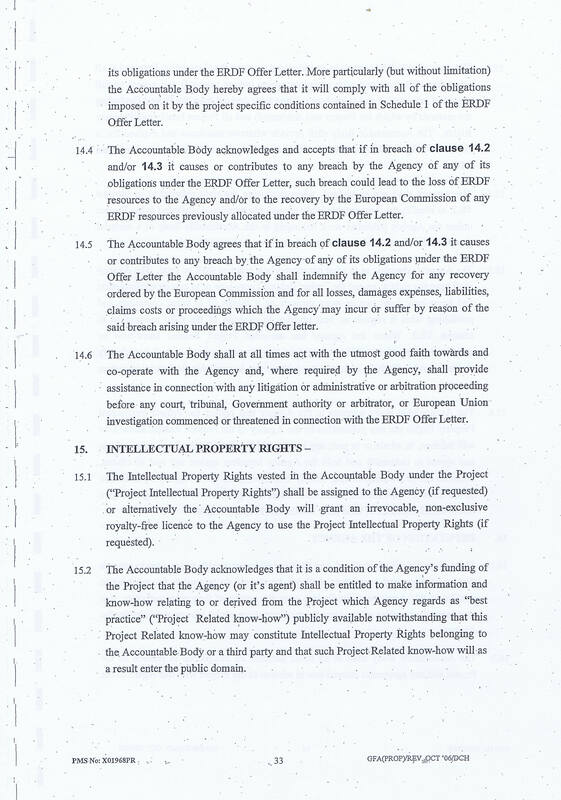 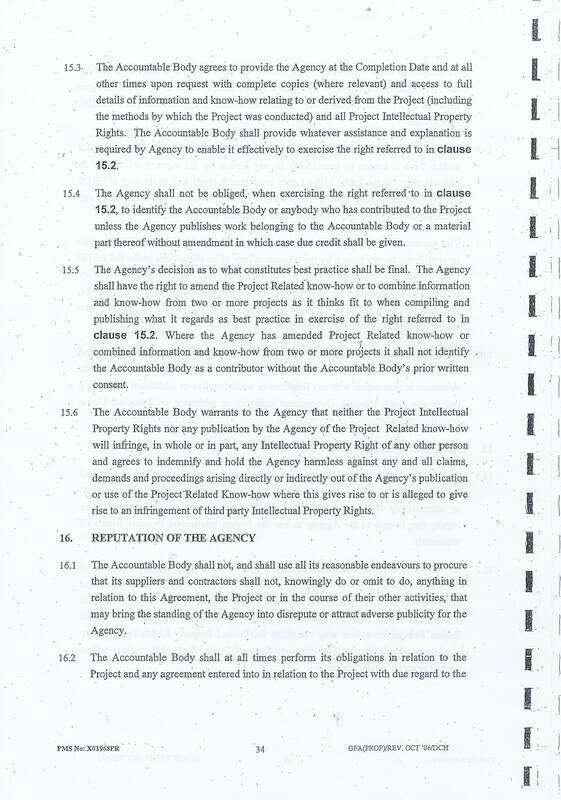 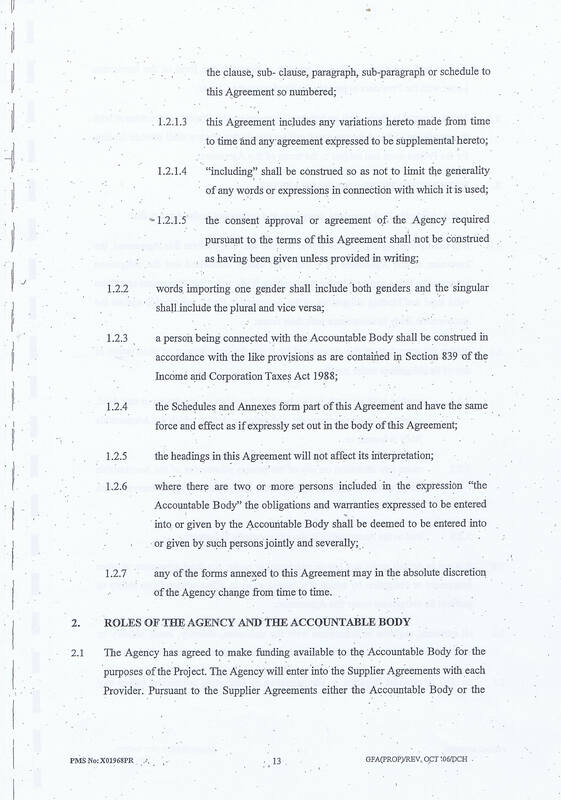 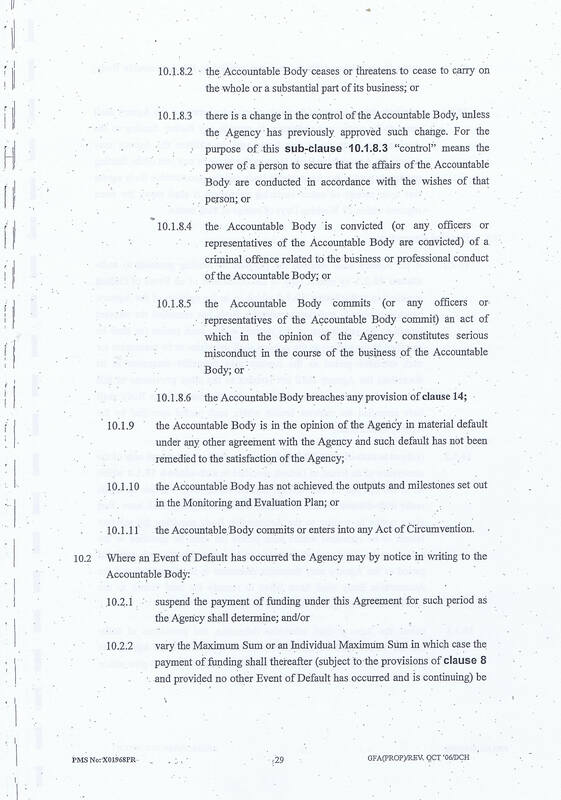 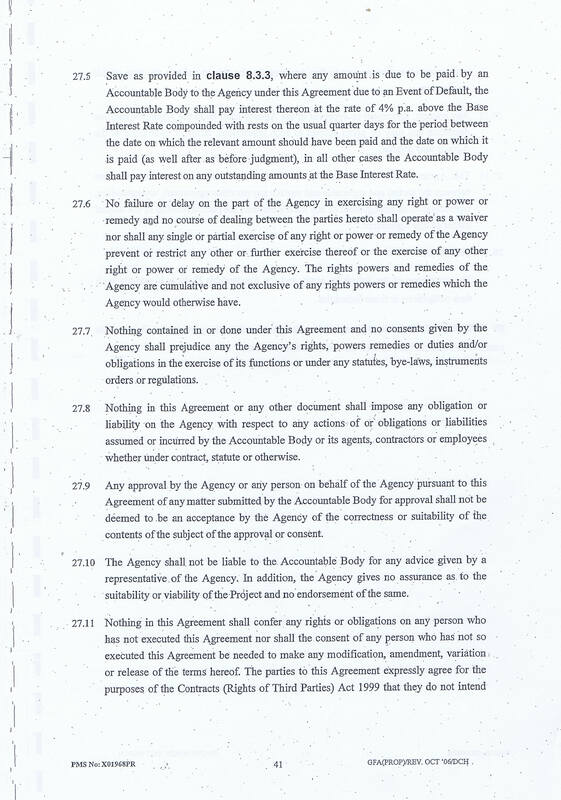 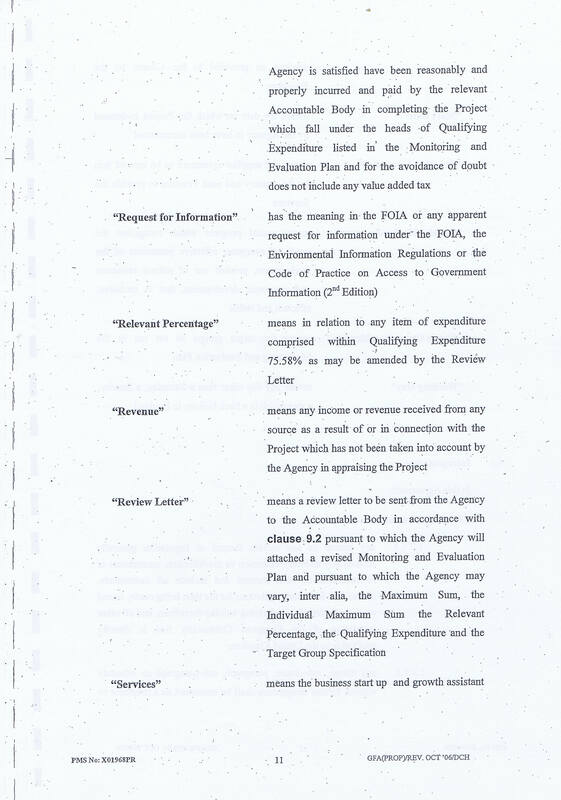 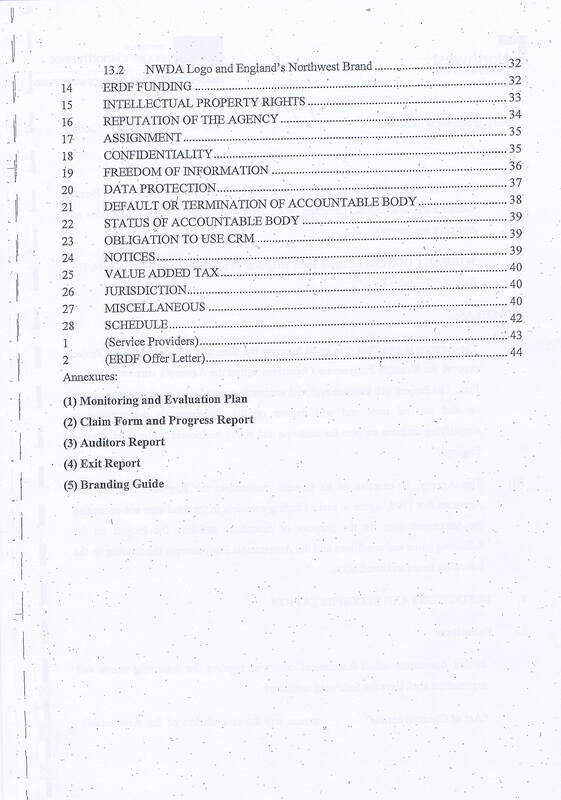 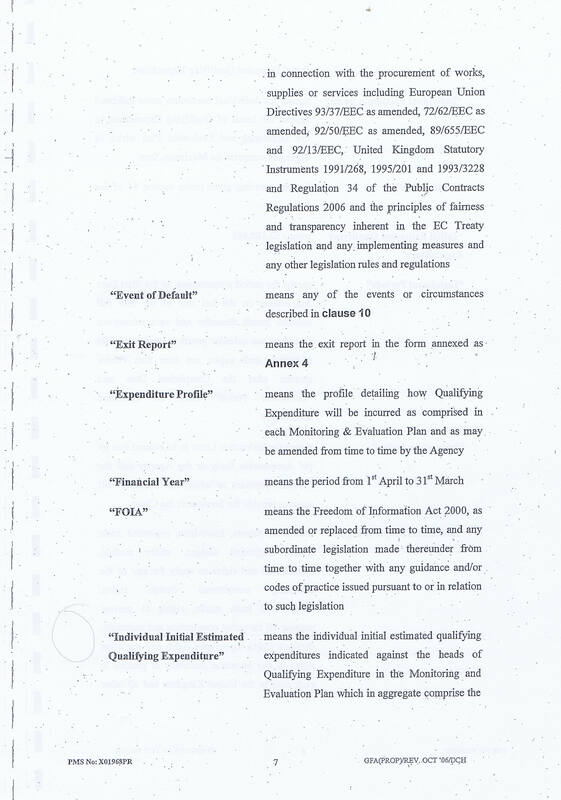 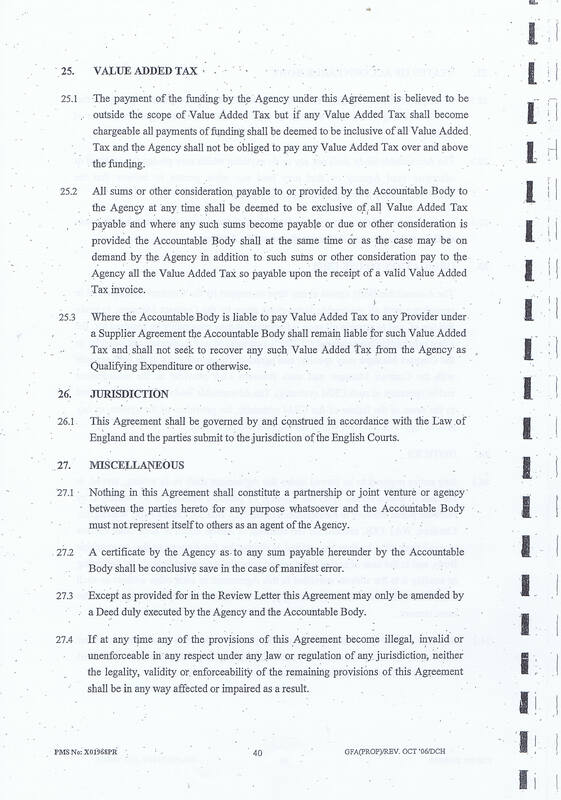 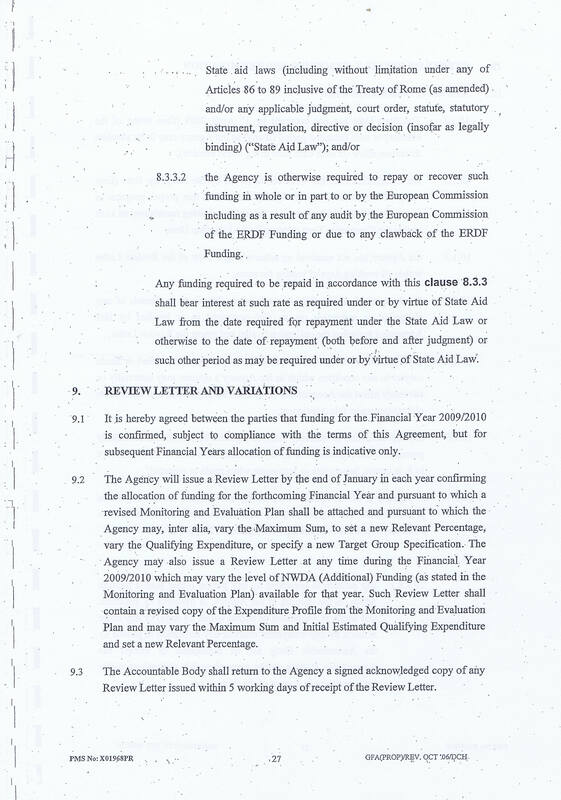 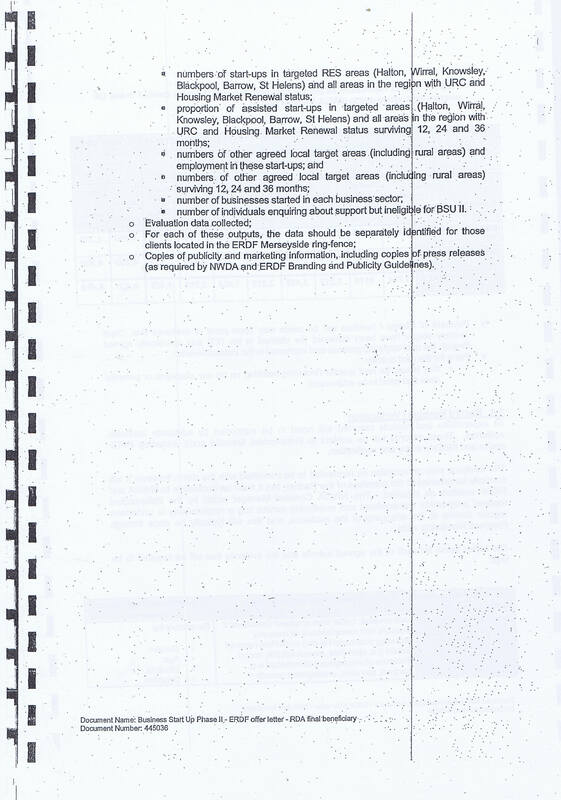 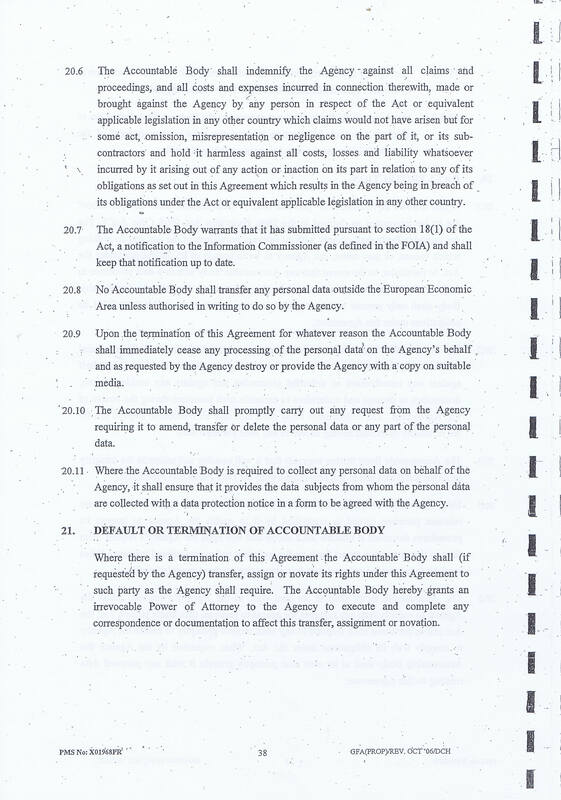 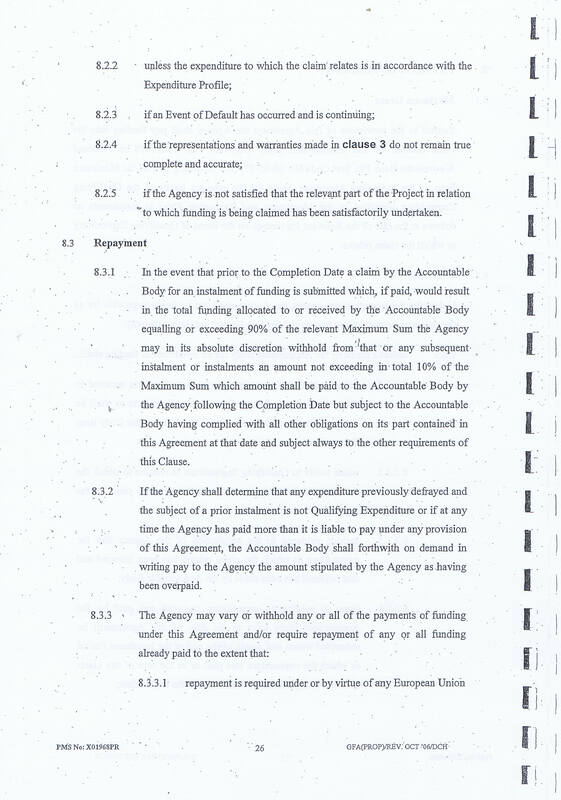 90 pages to protect public monies but when there appears to be malpractice how has this elaborate contract empowered agencies to take corrective action. 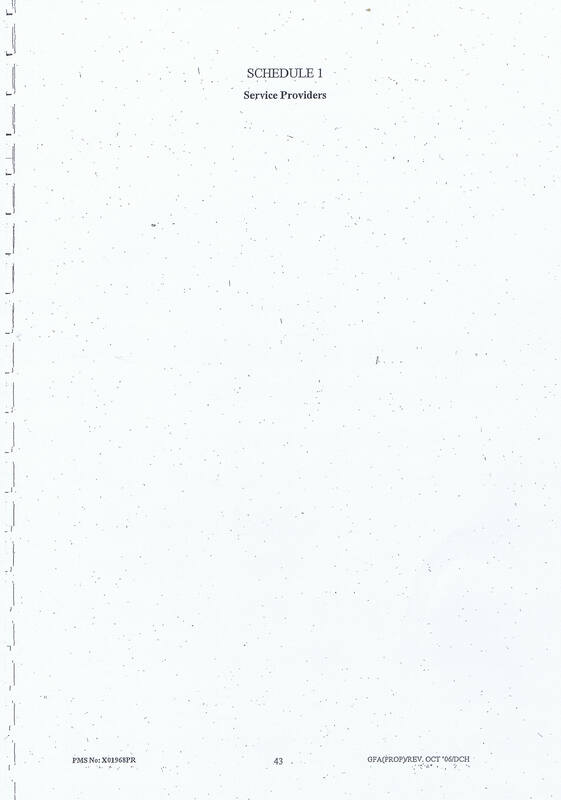 To date nothing!! 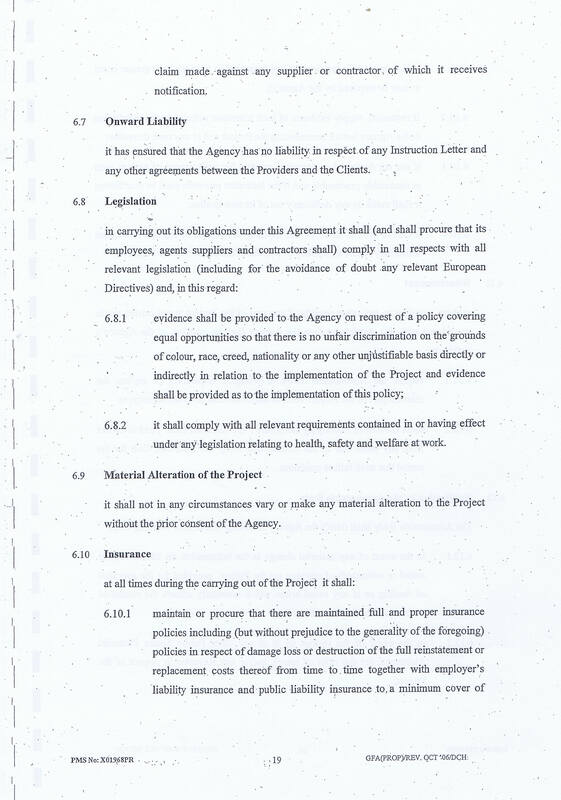 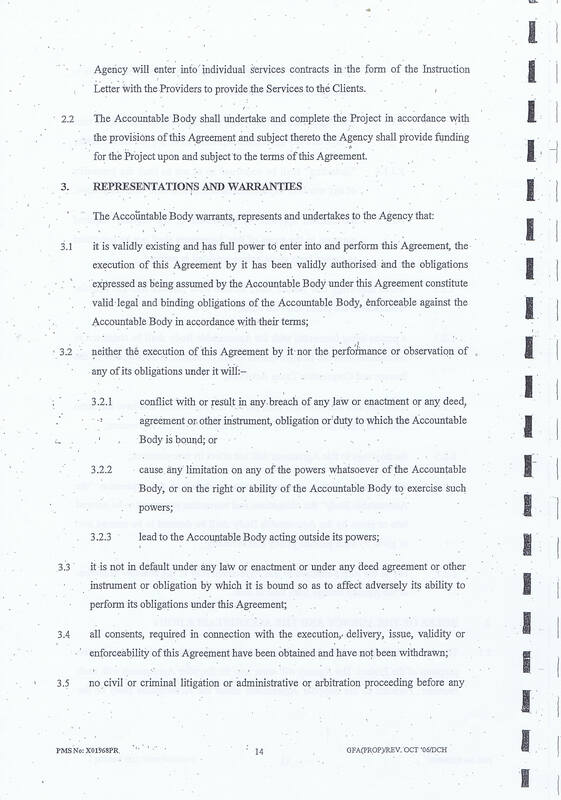 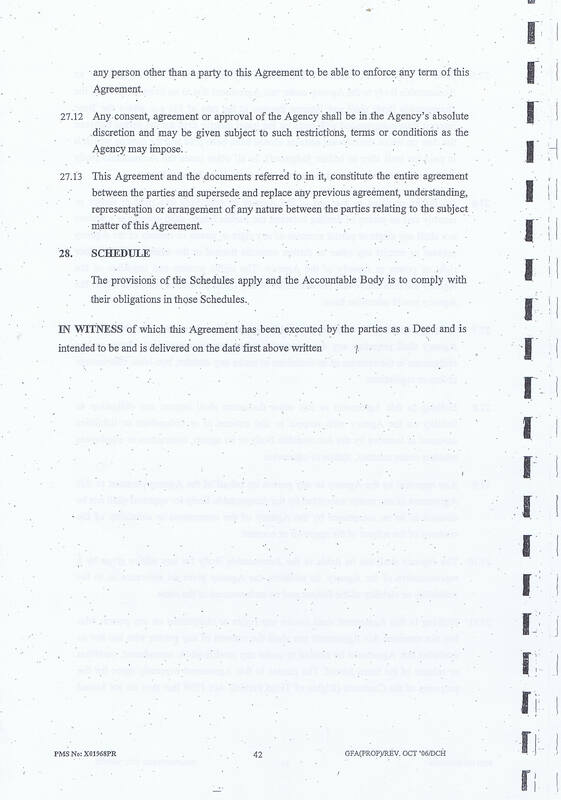 Why bother drafting such a contract if no-one will act upon its punitive clauses. 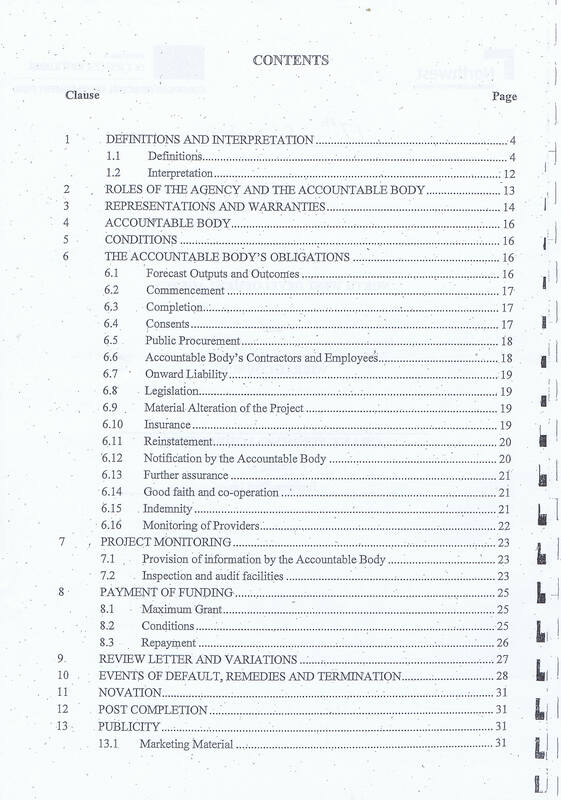 Are the lawyers only there to confuse and complicate; is it a legal labry=nth that guarantees the salaries and fees of lawyers but like the story in Bleak House avails no-one else? 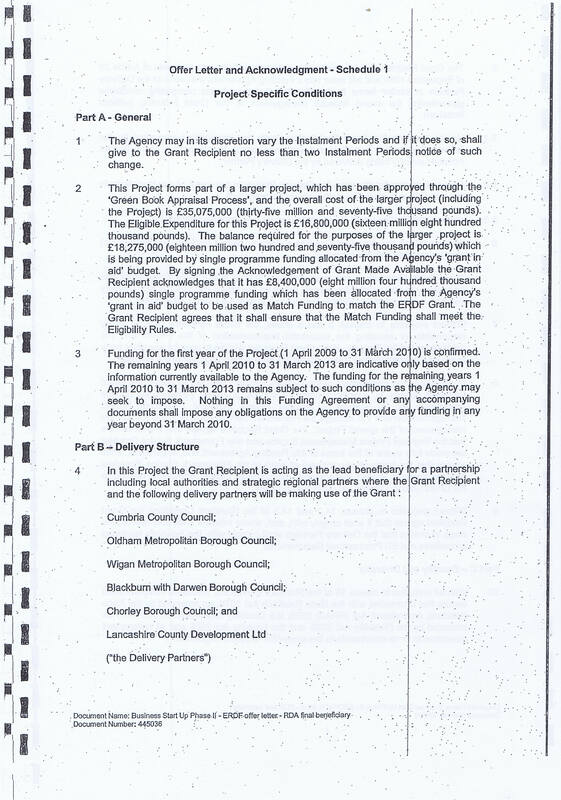 Is the answer a lack of will as the necessary consequence of action would be the repayment of up to £1m of ERDF monies by WBC? 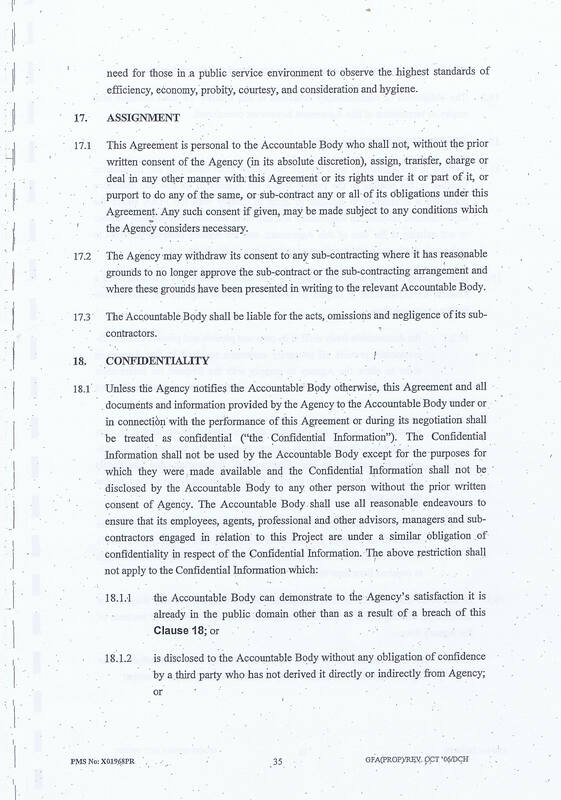 Now that would be embarrassing but that is what this contract writes. 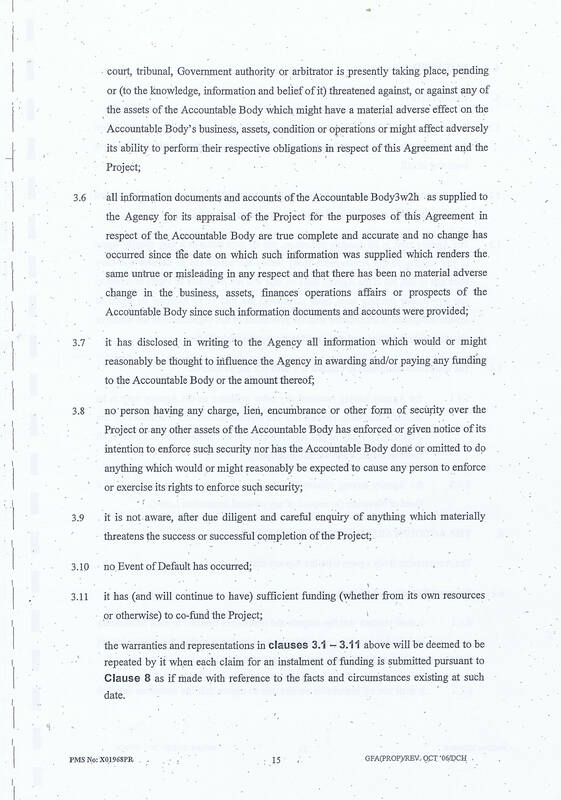 A lack of will would explain the severe delays in the investigation that started in August 2011 at the latest. 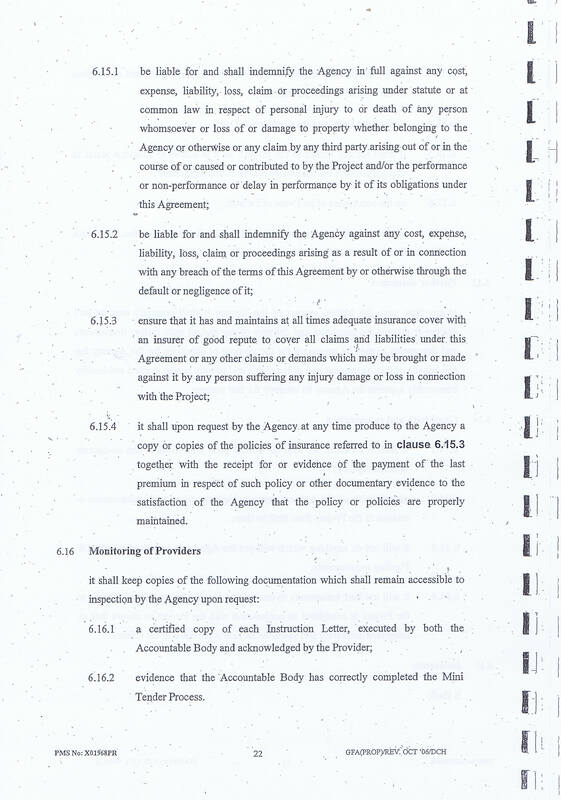 It would explain the studious avoidance of the words “Working Neighbourhoods” to which contract £919K was match funded (see John Braces’ earlier posting of a contract WBC/Enterprise Solutions. 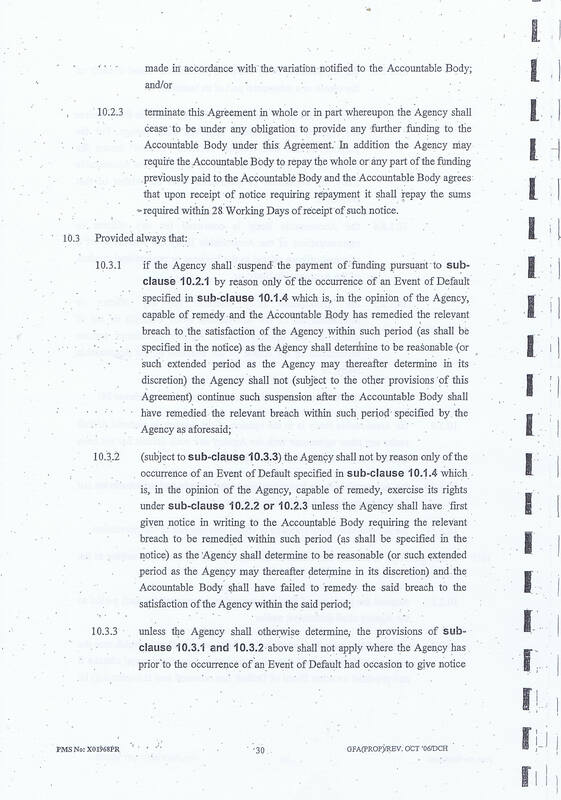 Now that studious avoidance was in the teeth of my complaints to councillors , to Dsurjit Tour Hrad off Legals and to the Press office that thewir Press release of 14th March 2013 was misleading the public and the press. 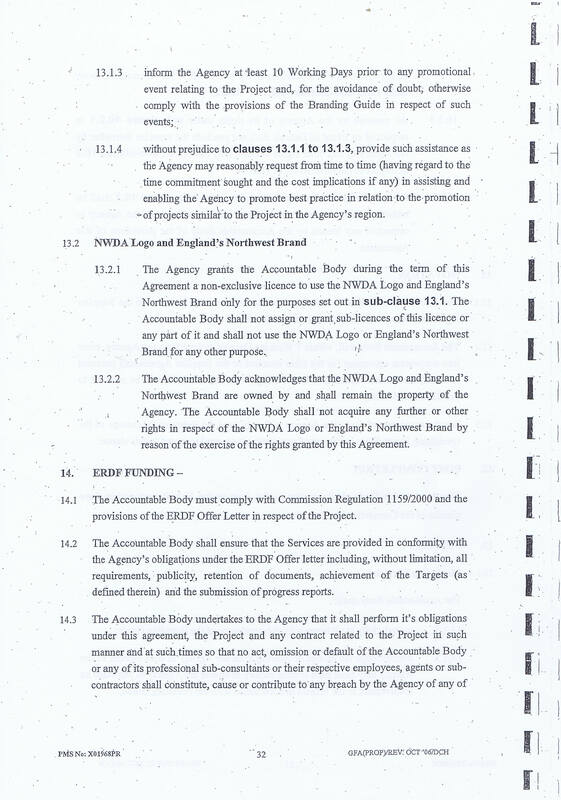 This is clearly contradicted both by my experience and by the NWDA/WBC contract itself. 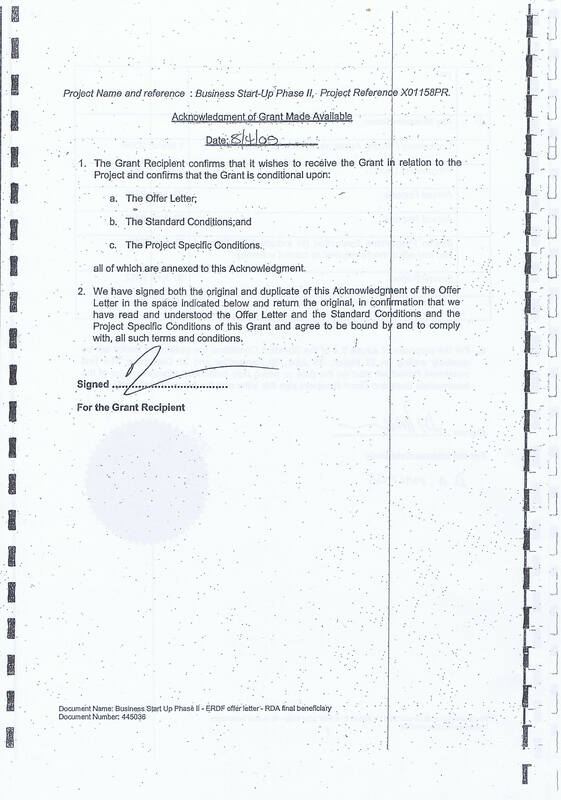 “I am pleased that I am now in a position to state clearly that the ISUS report which has now been concluded does not criticise Wirral Council or its officers. Why sdo I make these points ? 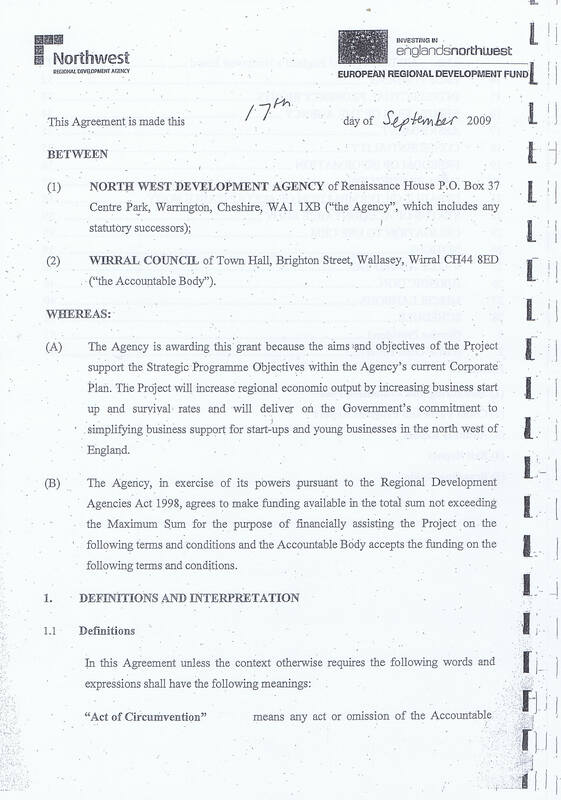 Becausew I do not enjoy being spun like a top and I feel wirral has suffered enough from legal obfuscation. 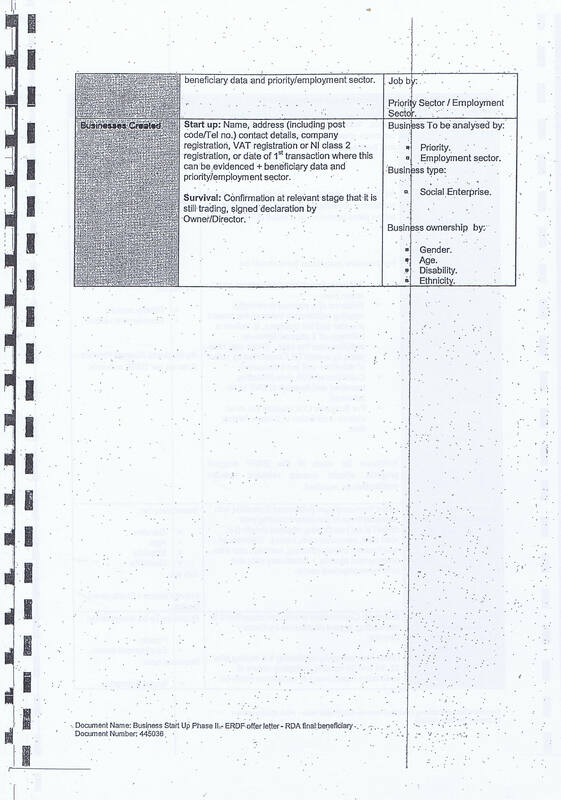 Jesus is required in the temple with a whip. 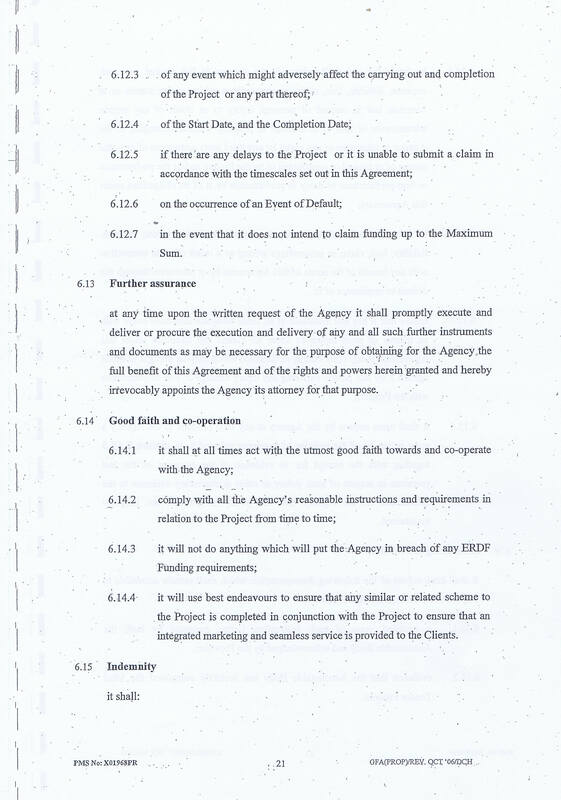 It’s to protect the party’s interests as contracts are enforceable in a court of law if they are breached. 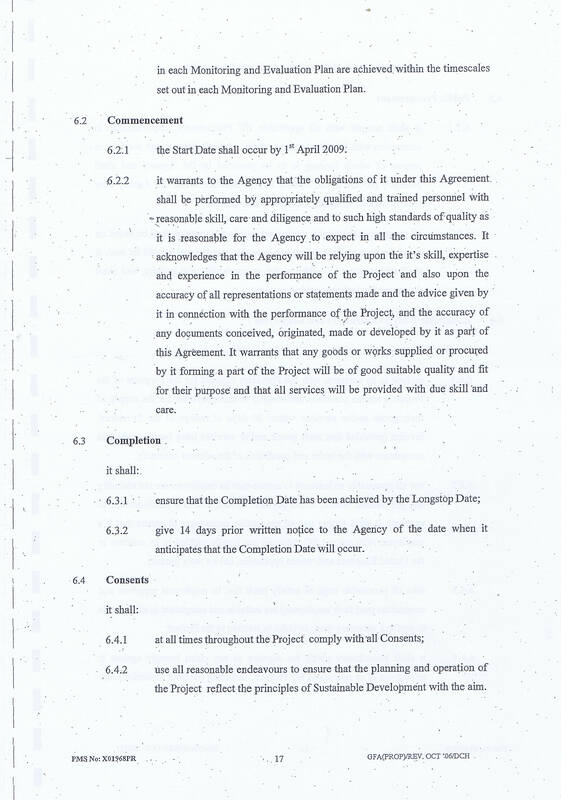 ” Are the lawyers only there to confuse and complicate” – strangely enough I have Wirral Council’s contract for legal services too, but am trying to complete the uploading of this one first. 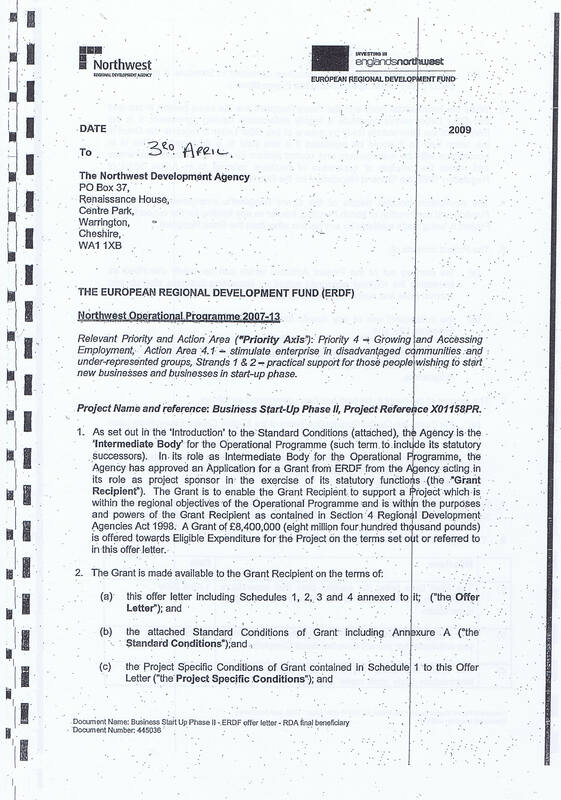 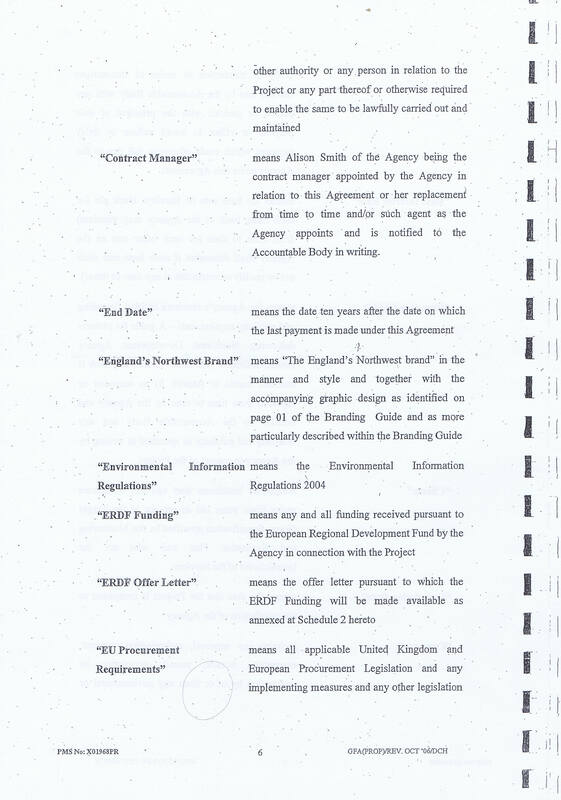 The ERDF section of the contract is published and can be accessed here. 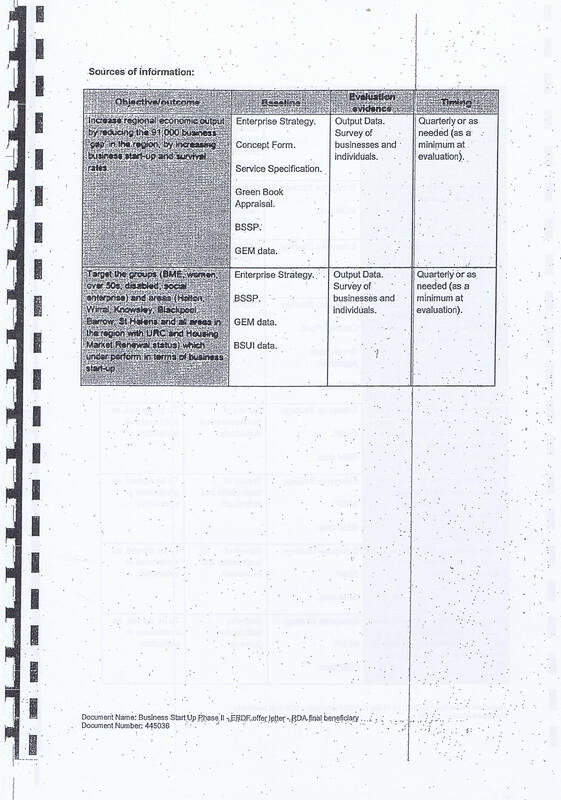 It details what’s supposed to happen in the case of a breach. 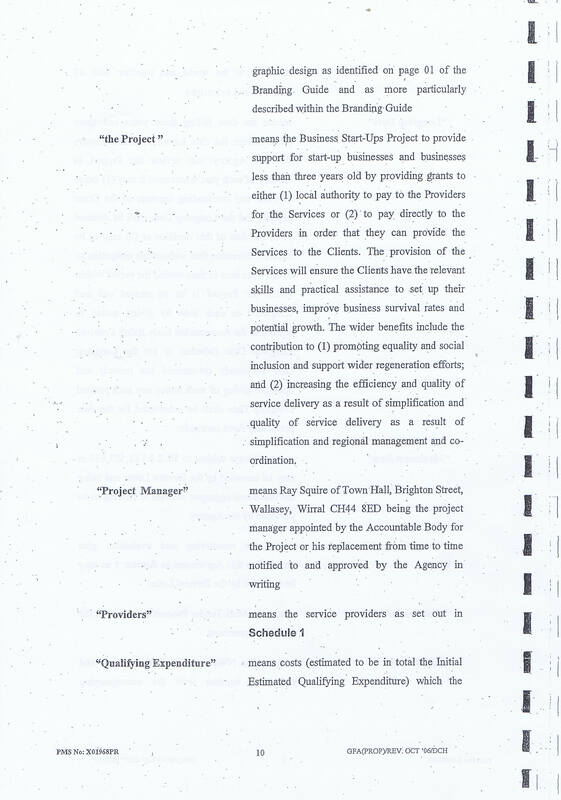 On the Enterprise Solutions contract for £919k, was that above the level at which there’s supposed to be competitive tendering etc? 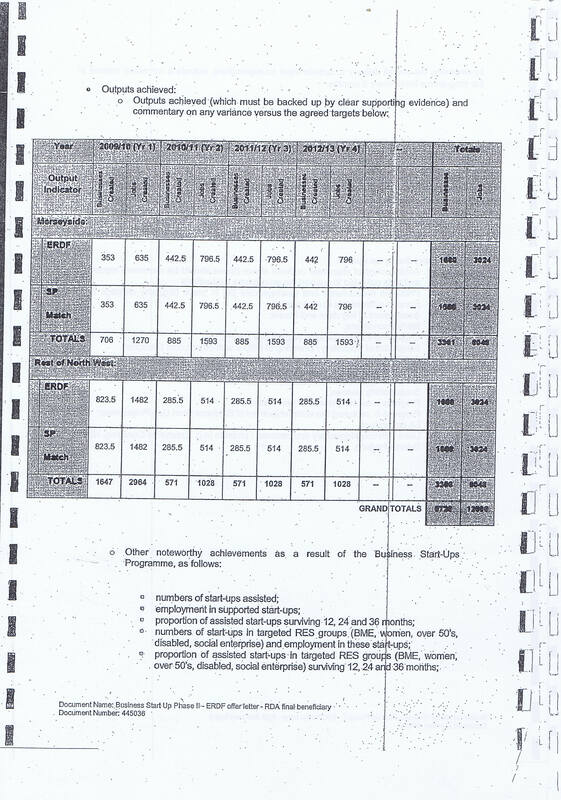 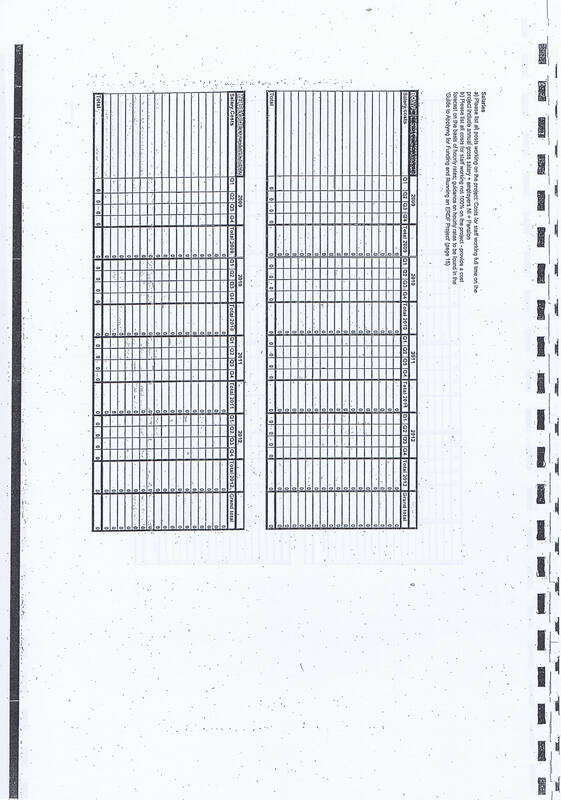 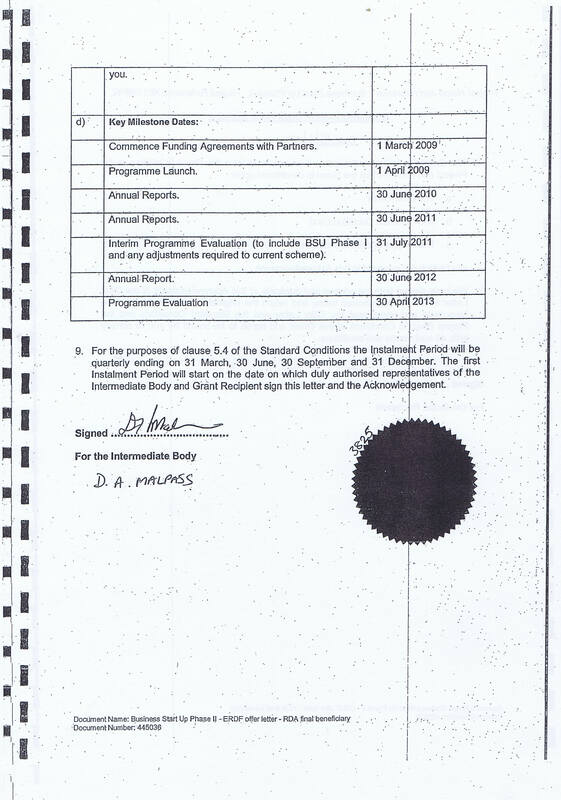 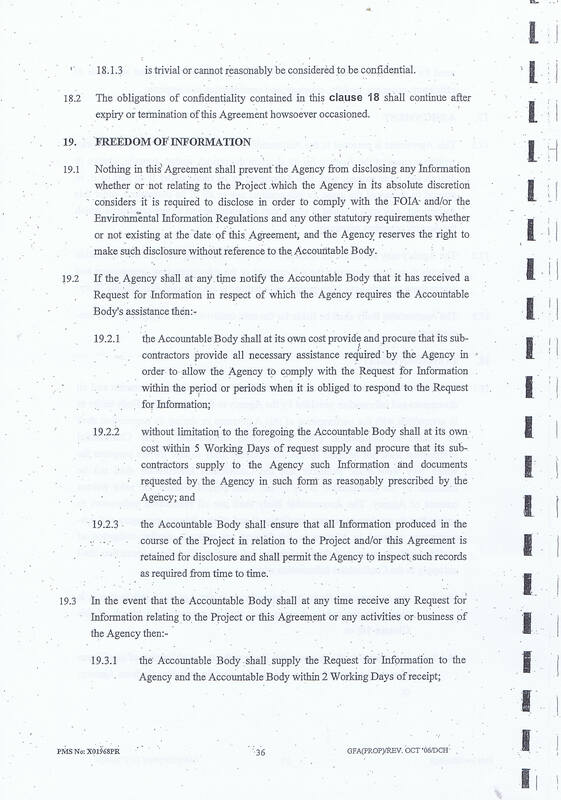 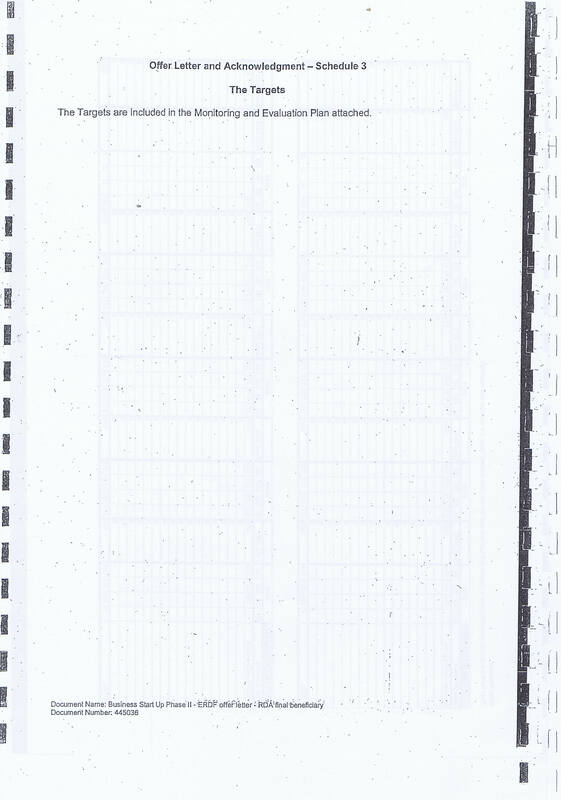 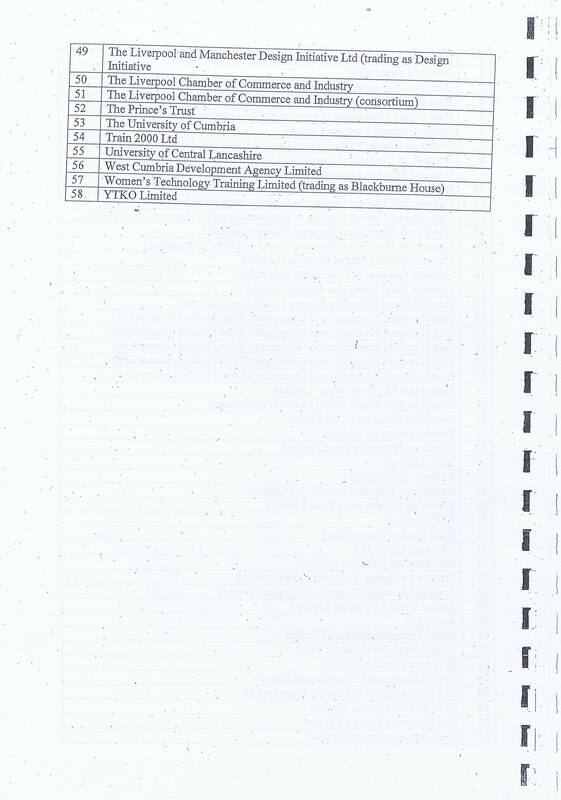 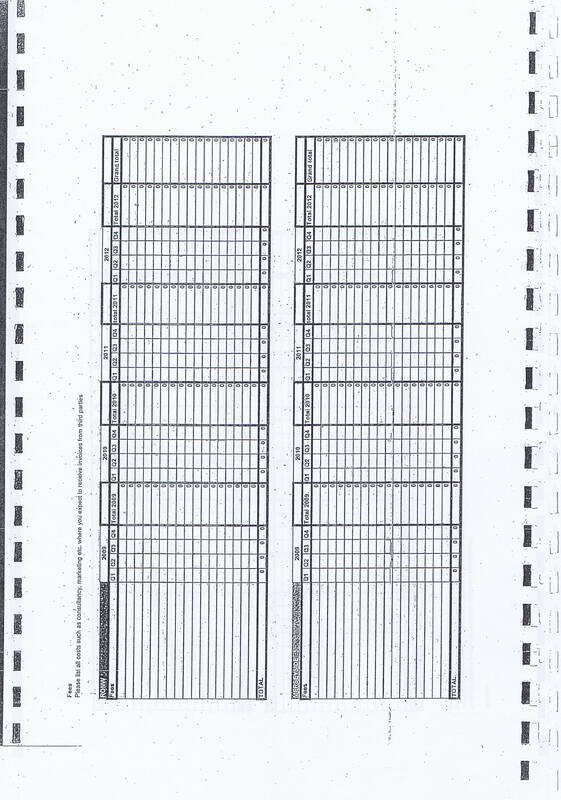 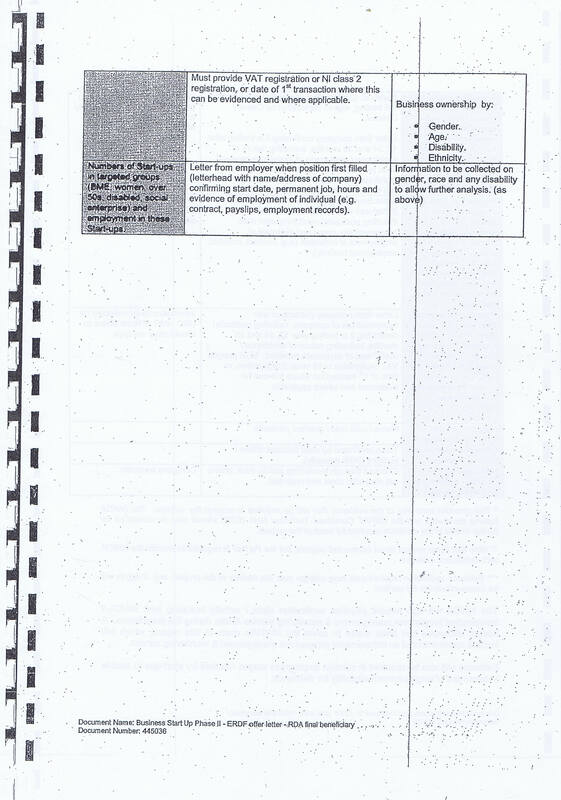 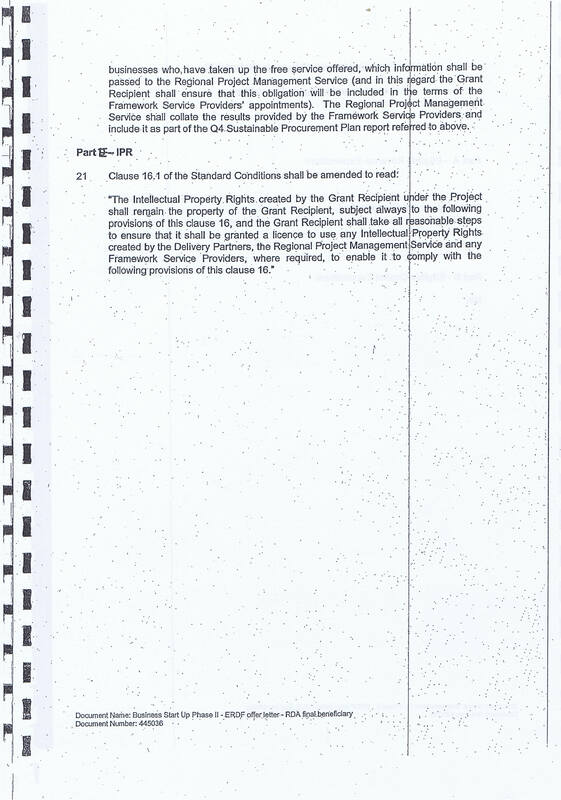 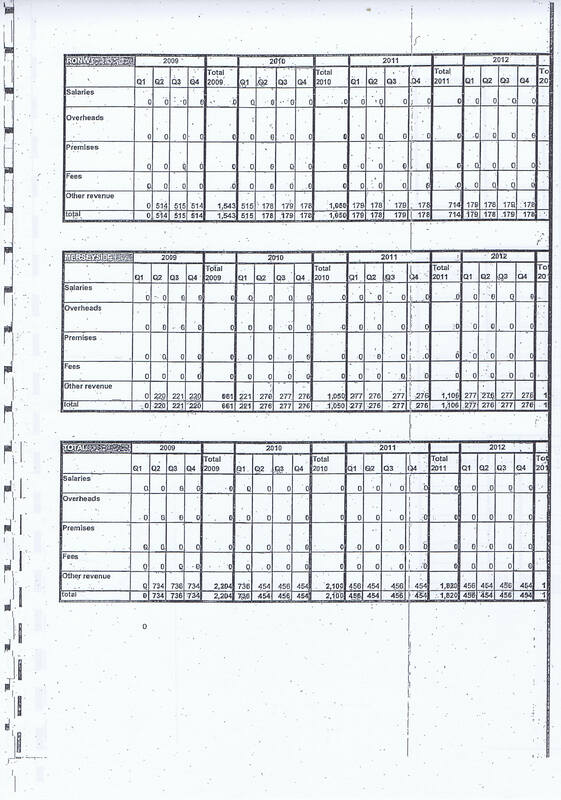 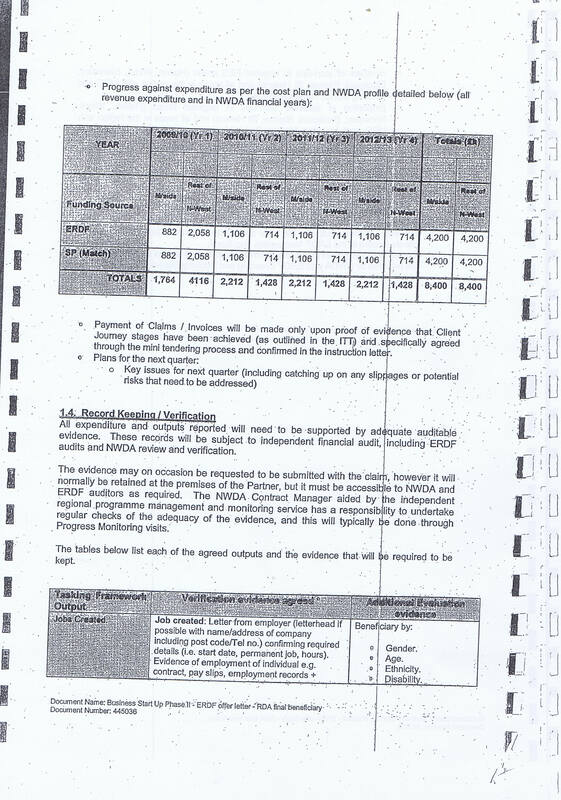 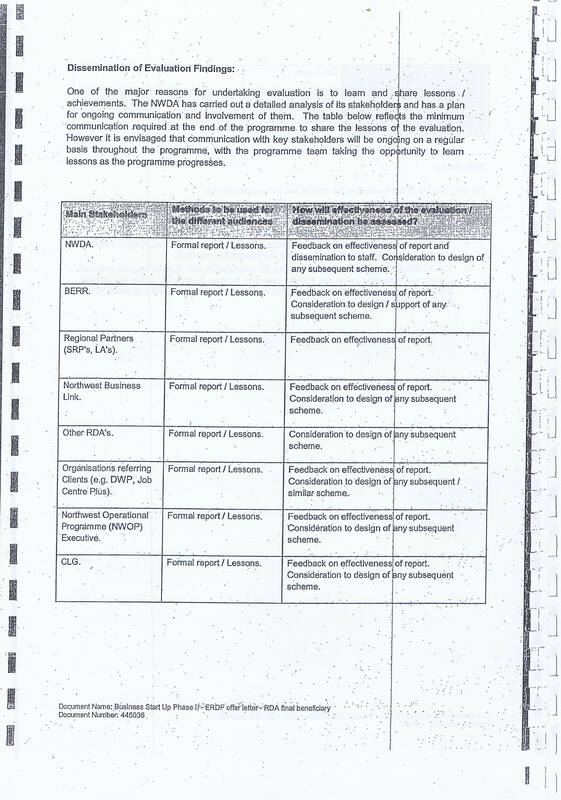 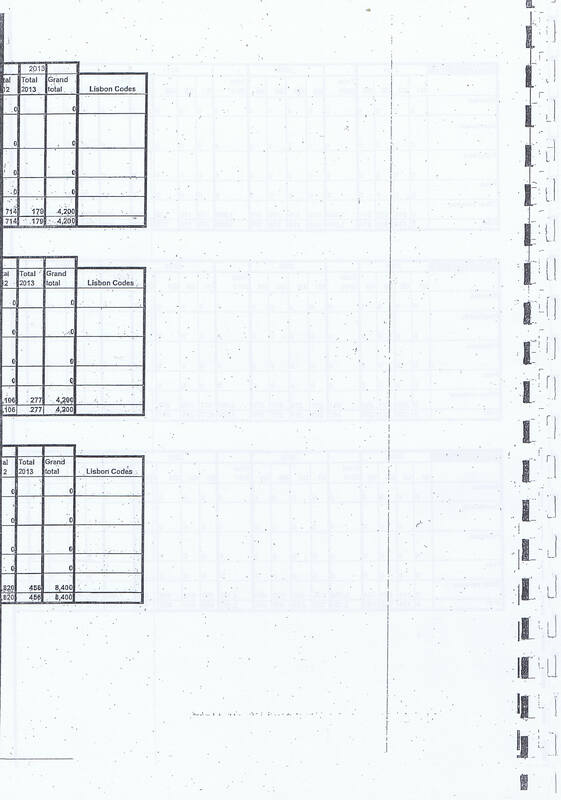 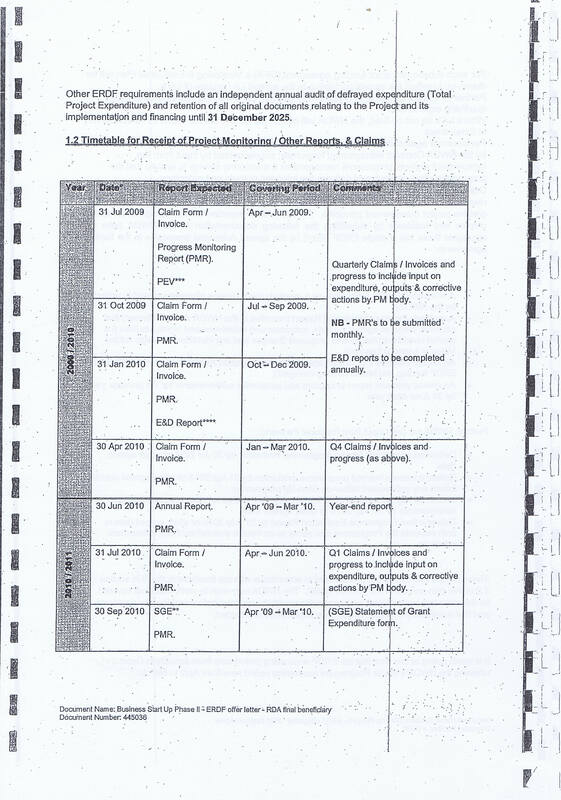 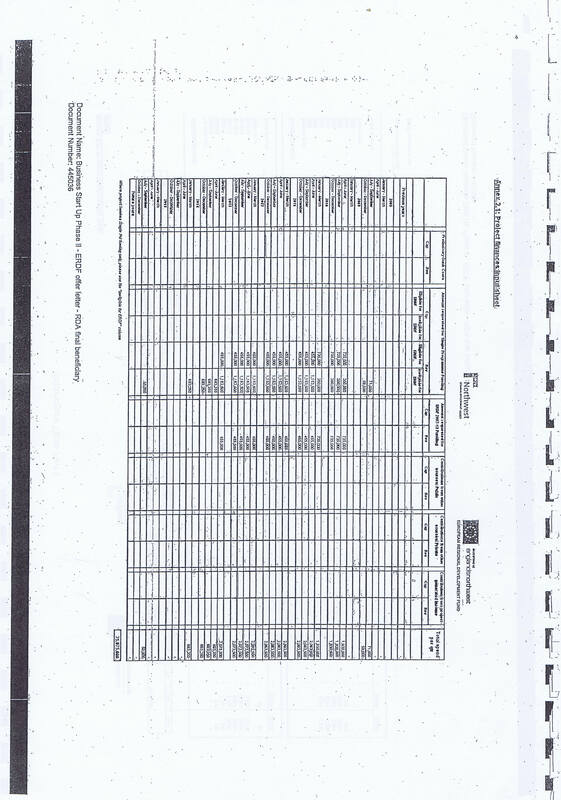 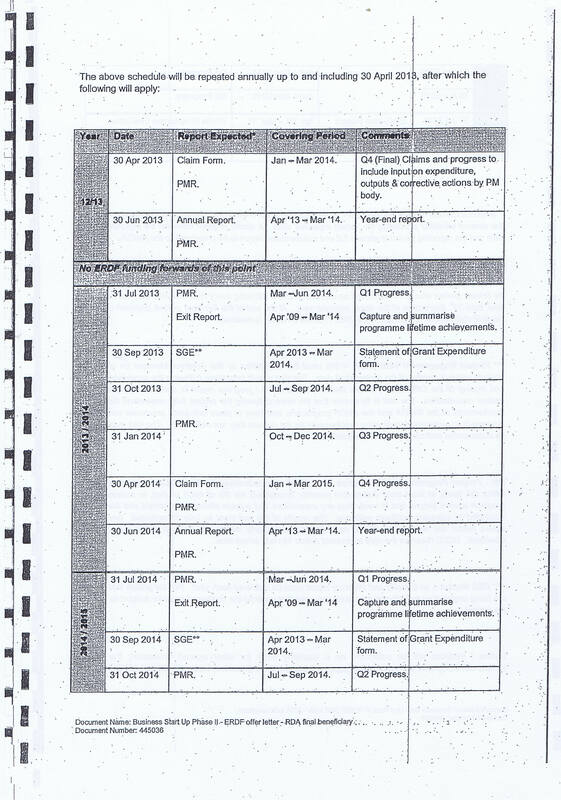 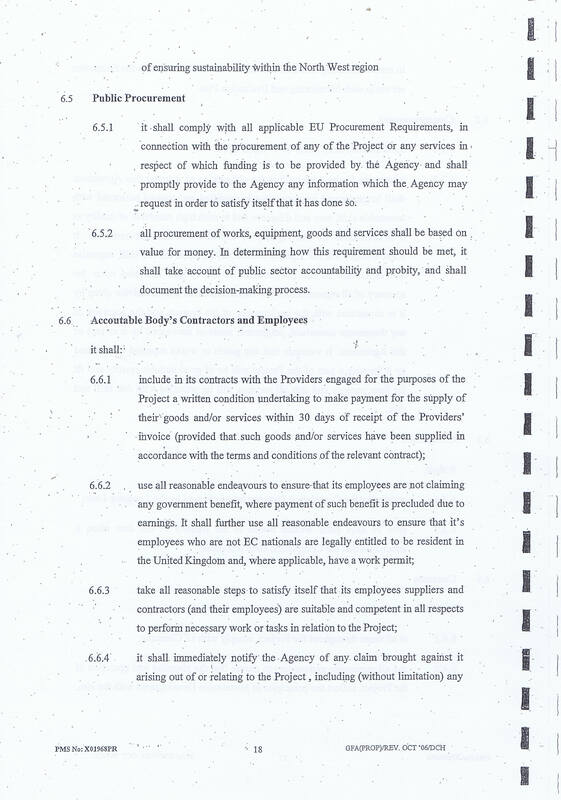 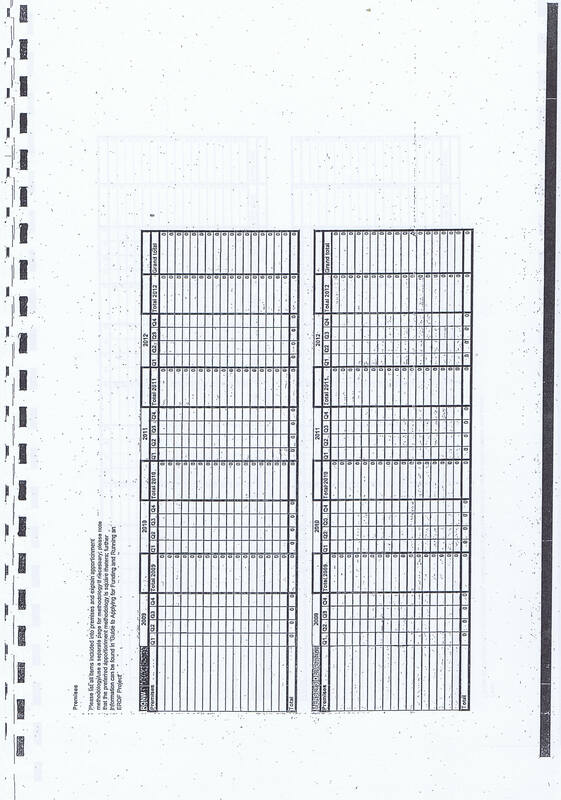 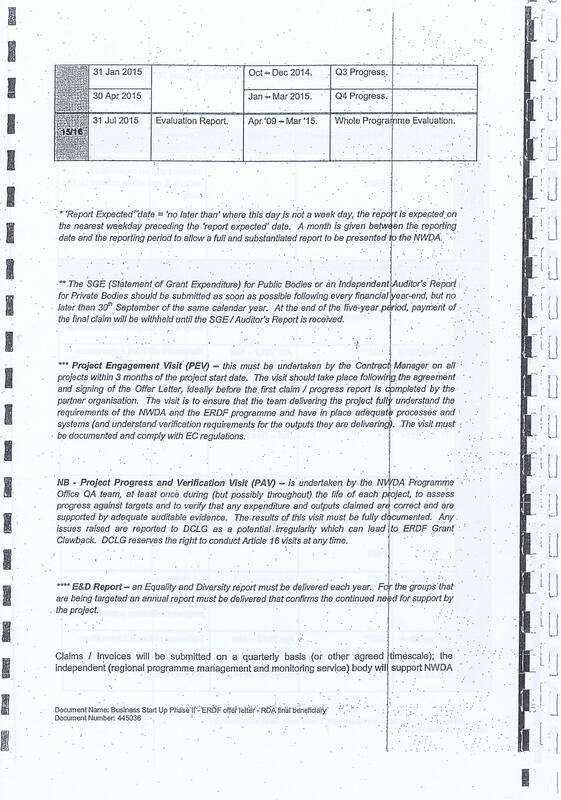 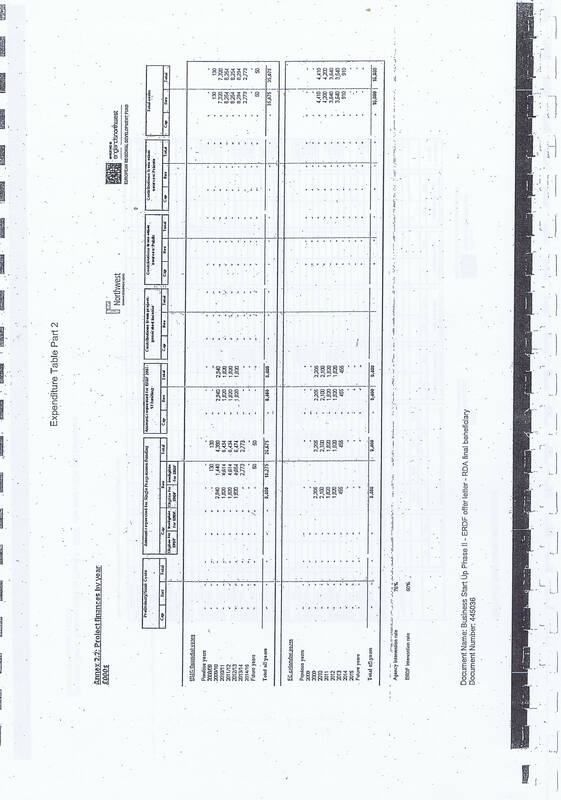 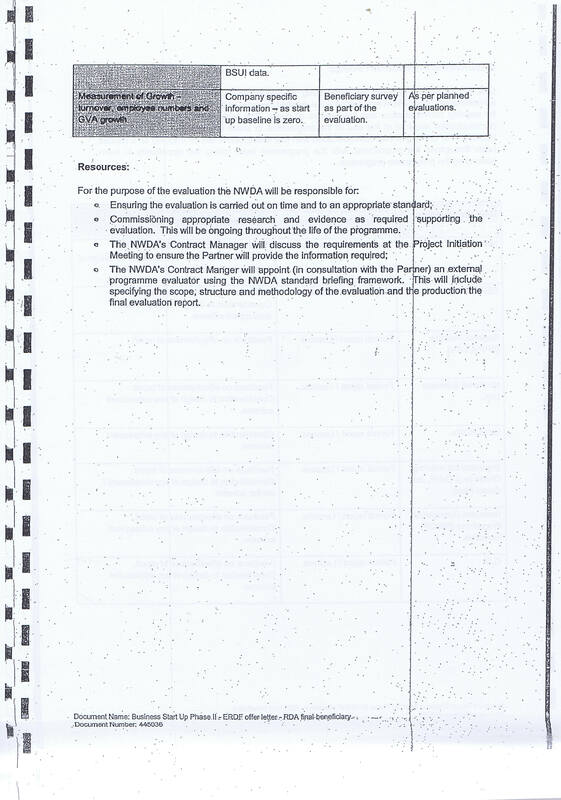 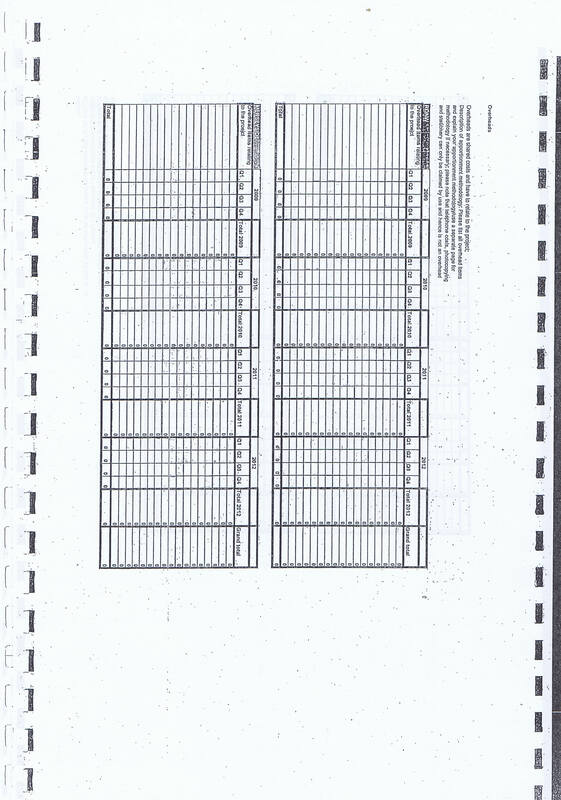 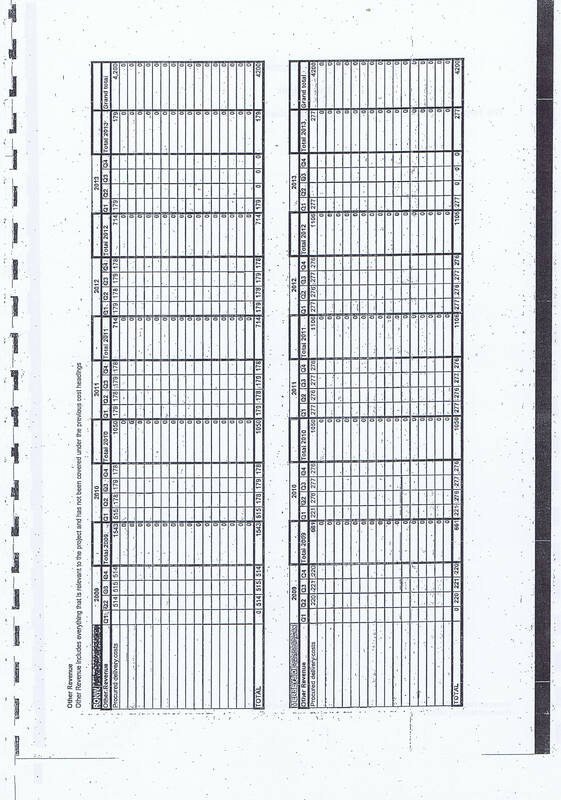 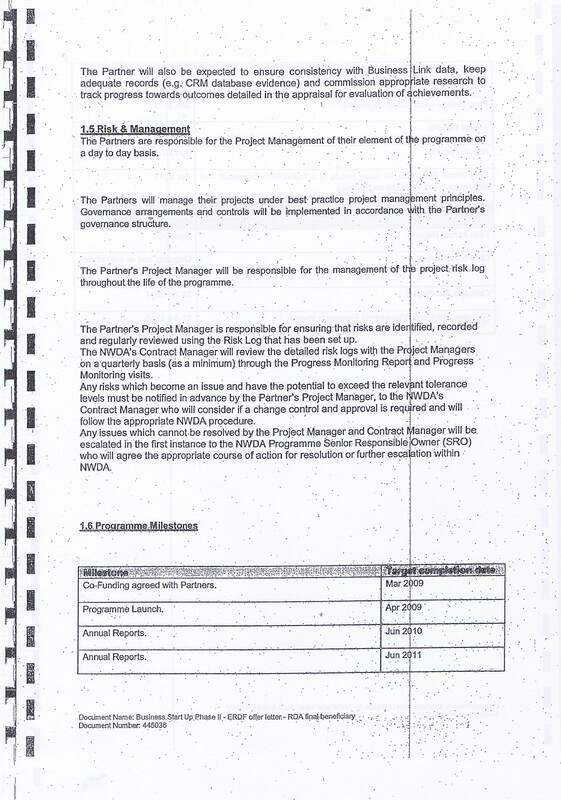 If so the results of the tender exercise would be interesting to make an FOI request about. 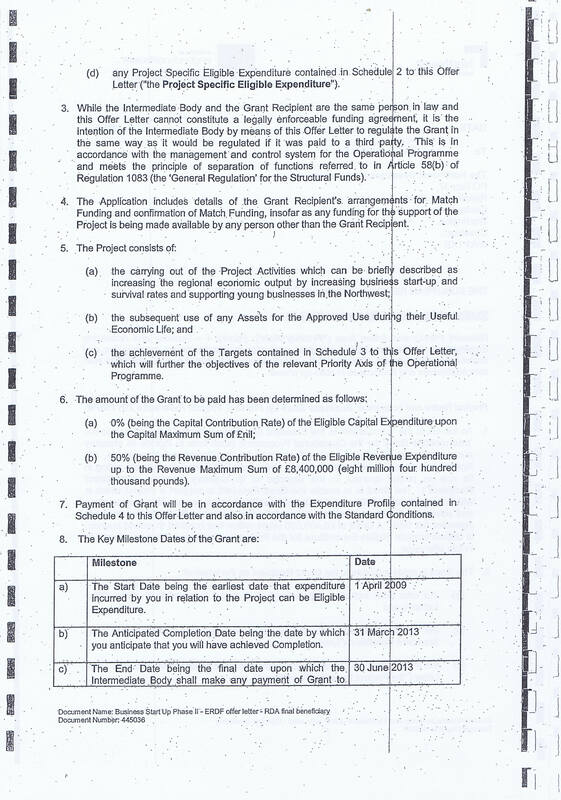 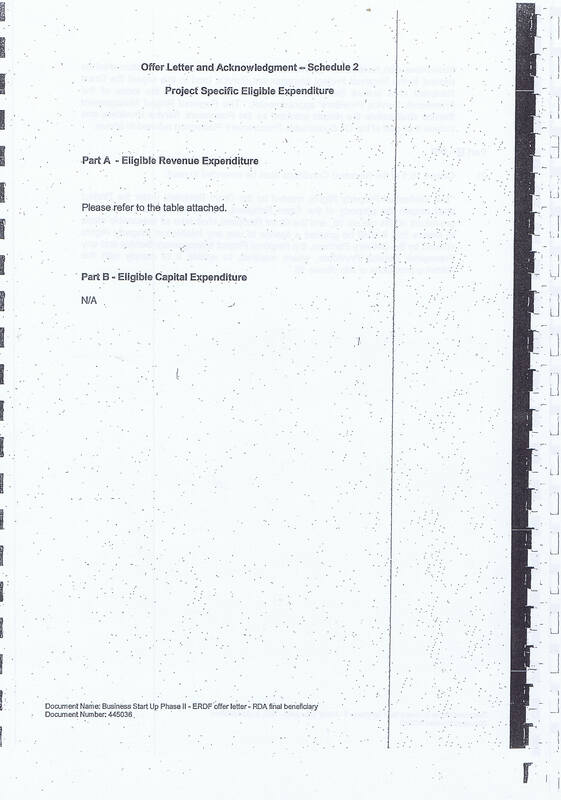 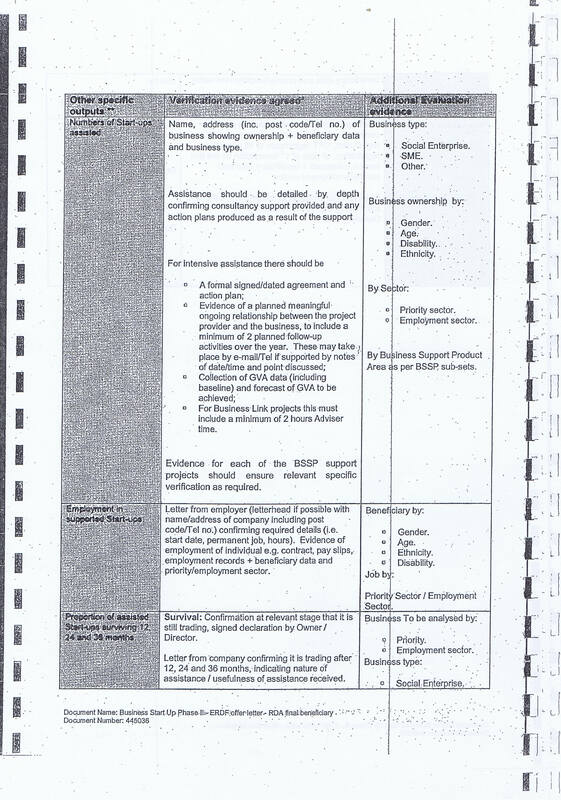 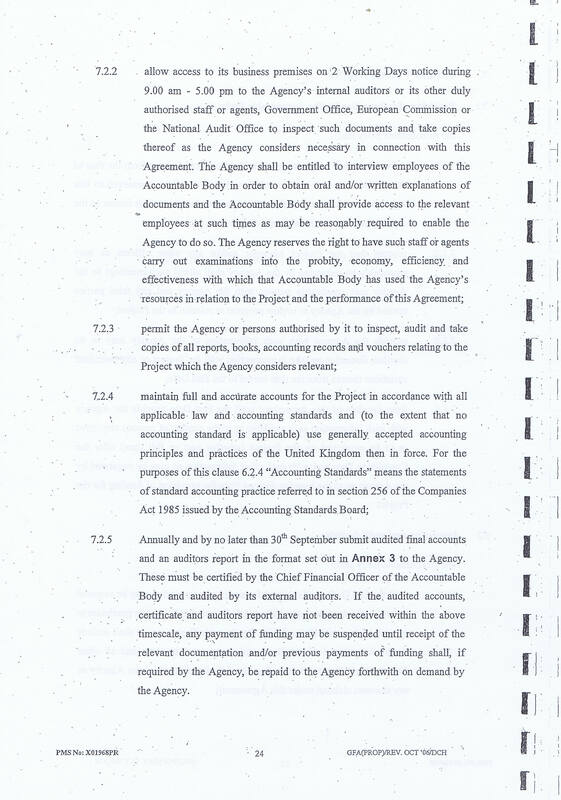 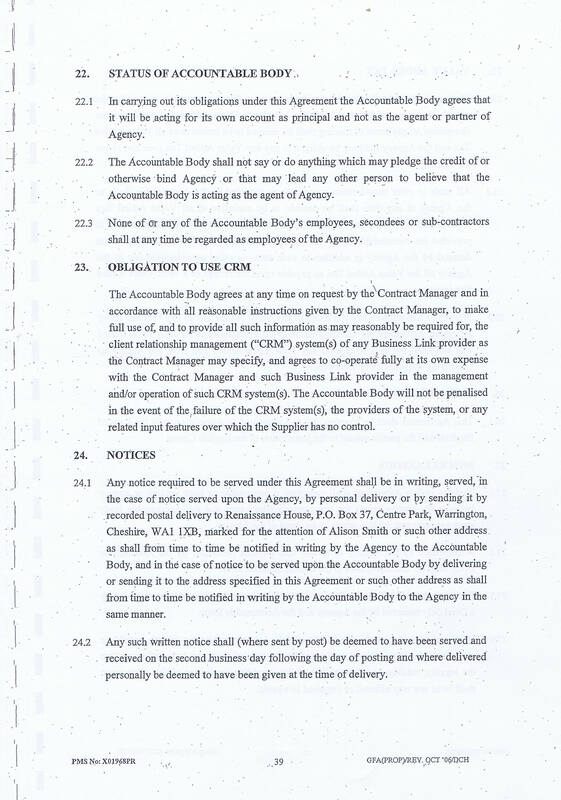 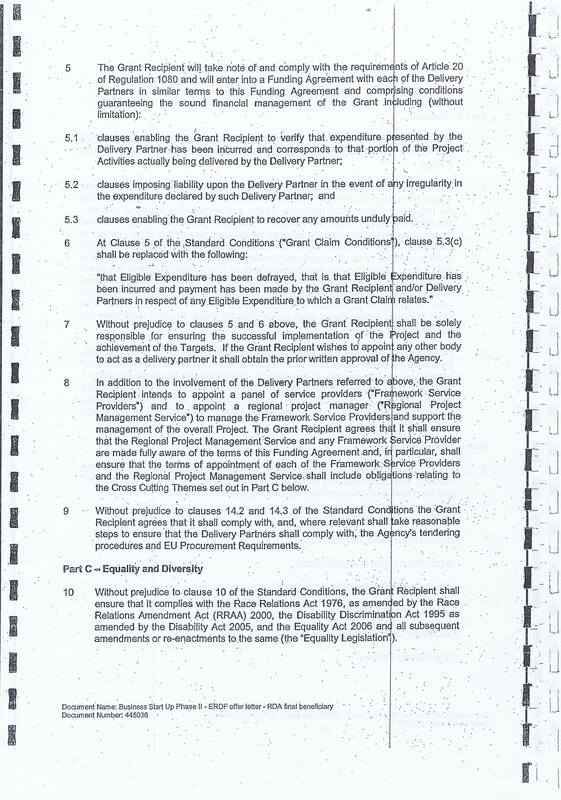 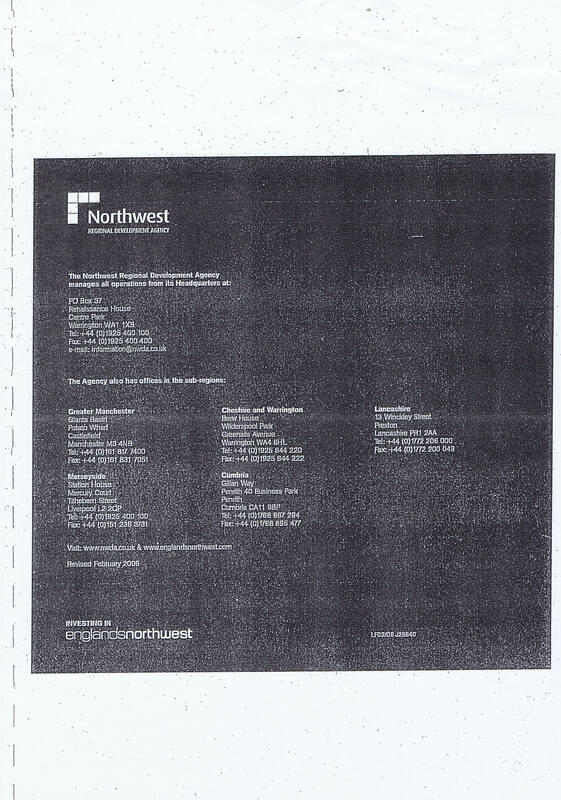 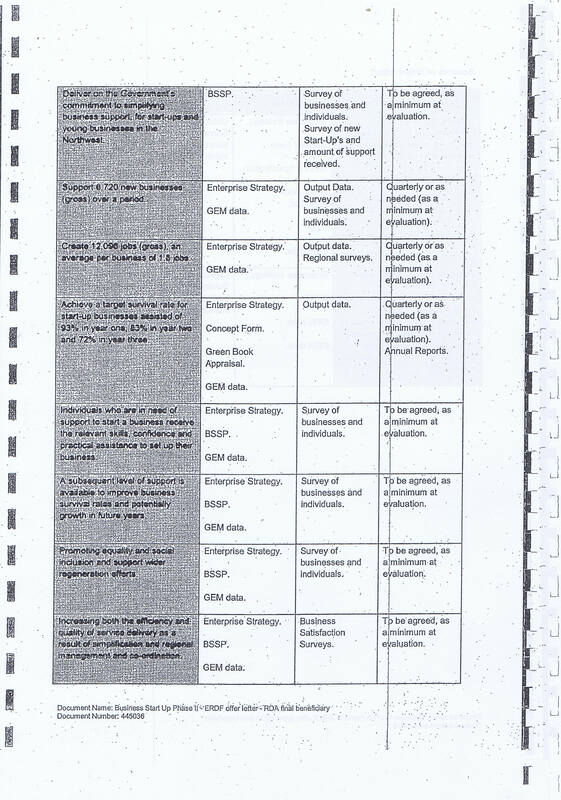 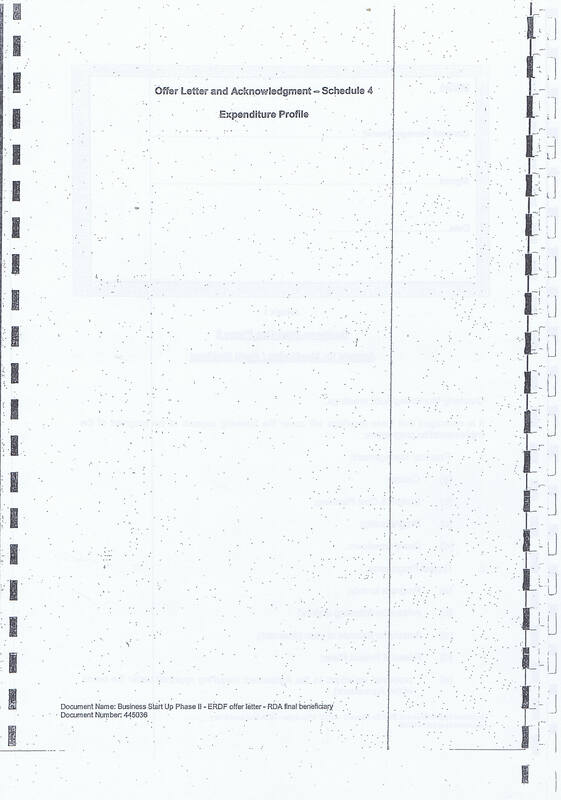 I haven’t read the Grant Thornton reports (obviously) but you’d hope if they were being thorough for the sort of money they were being paid that they’d have requested a copy of the relevant contracts. 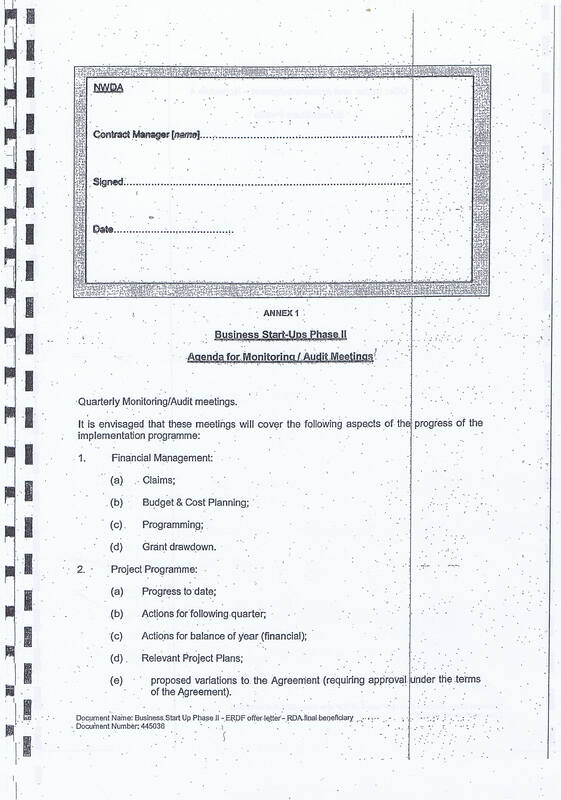 If not I’m sure you can bring up those questions with Grant Thornton in their role as auditor and request that the necessary actions are taken.